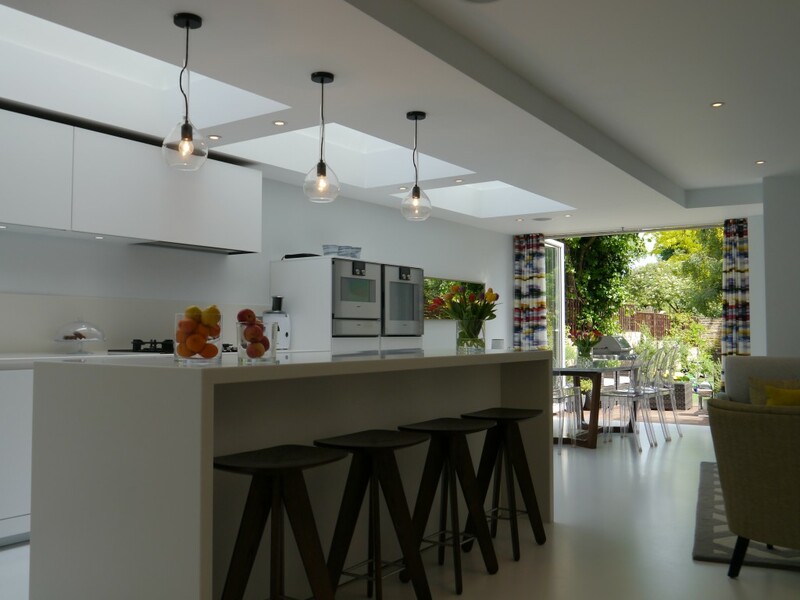 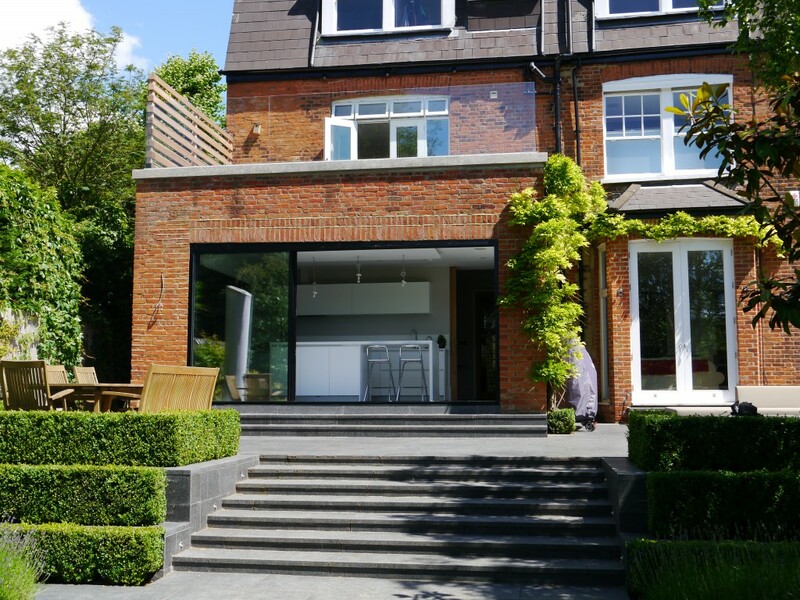 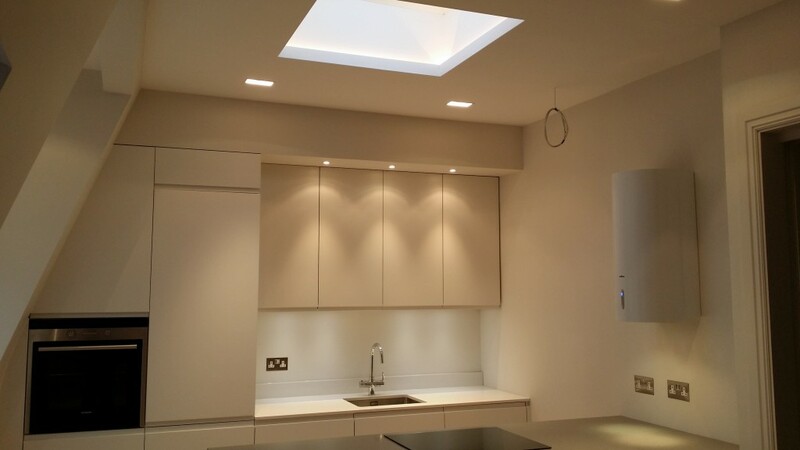 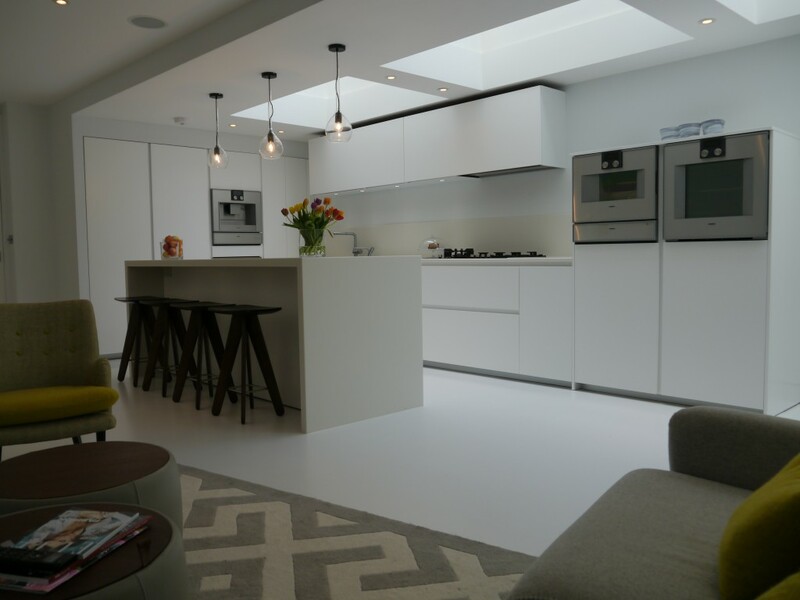 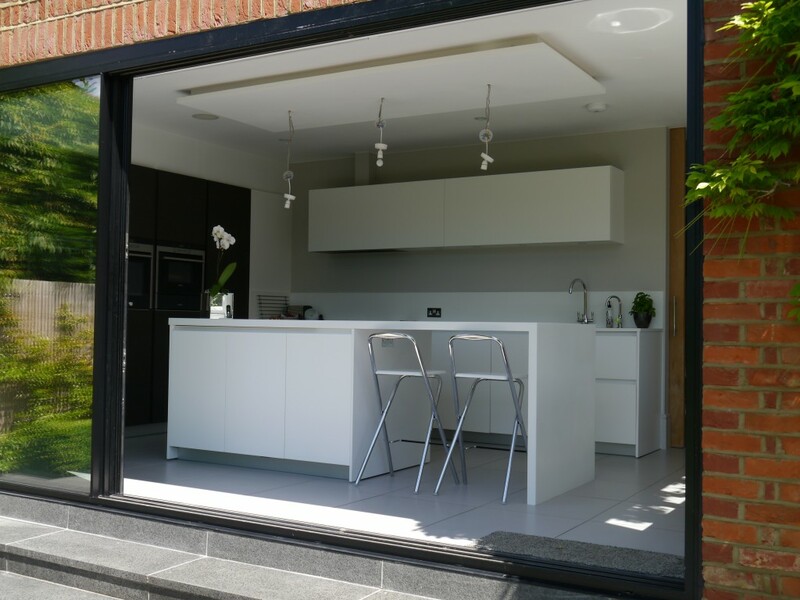 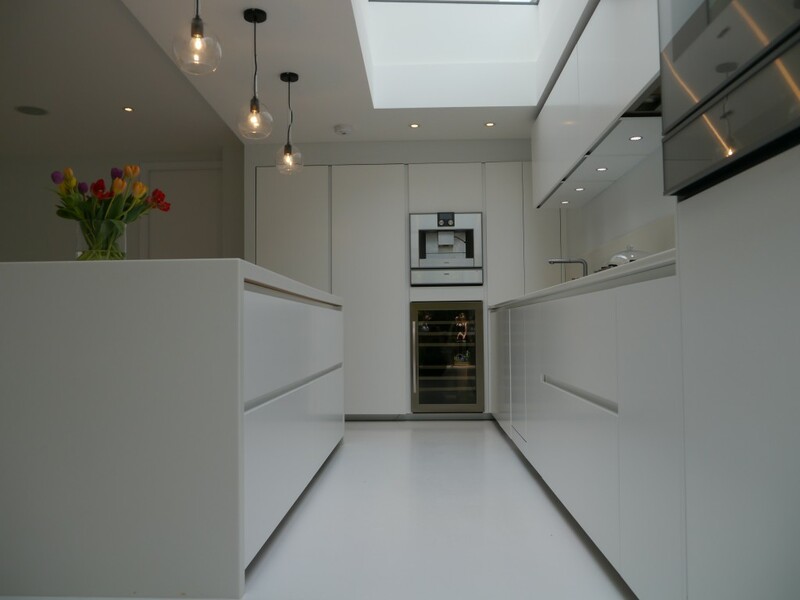 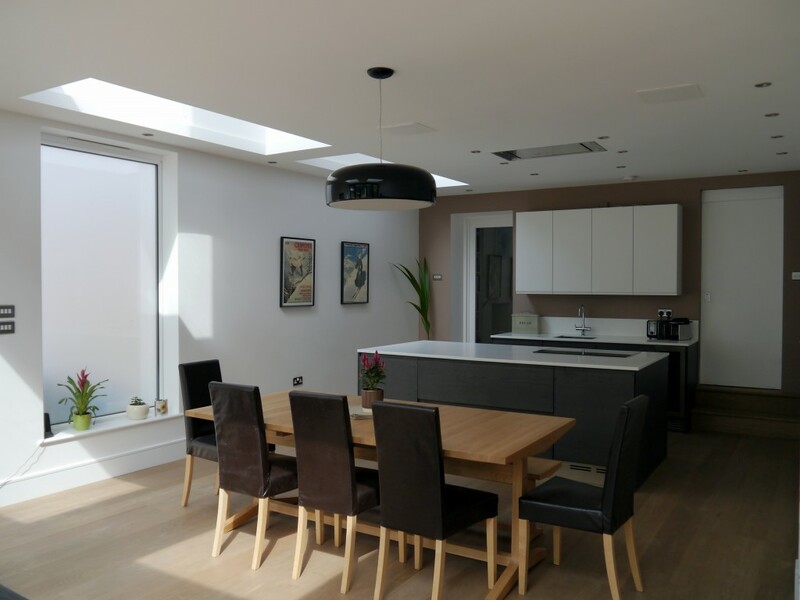 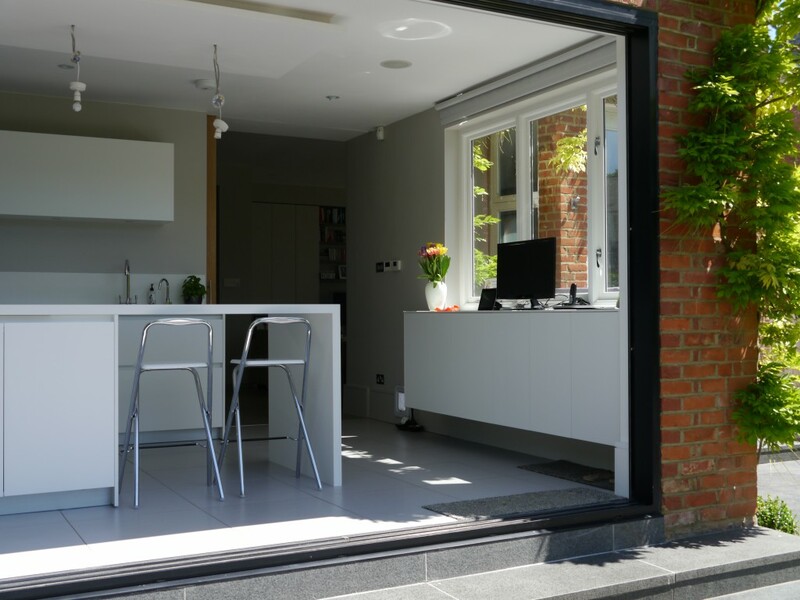 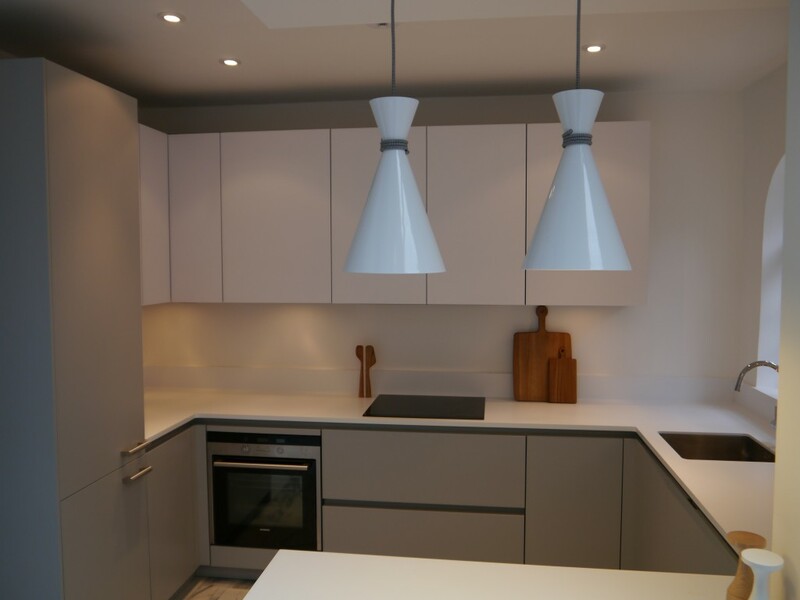 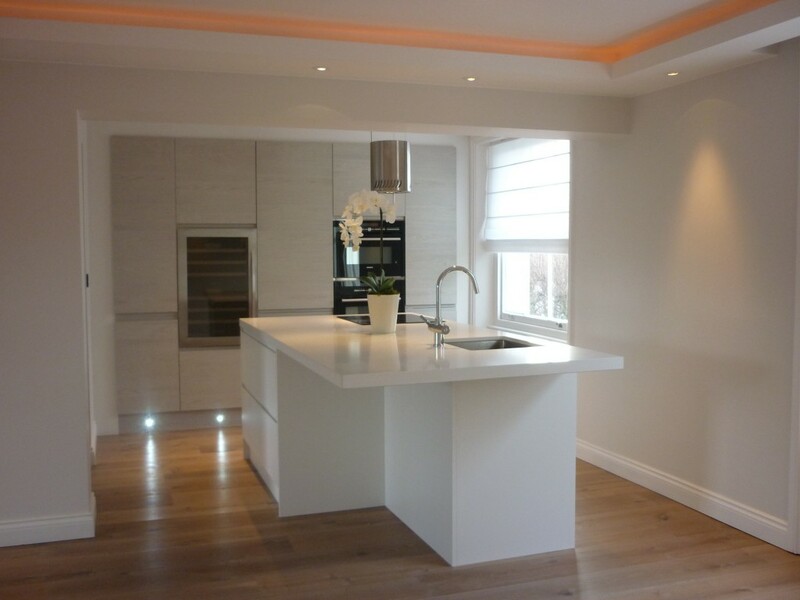 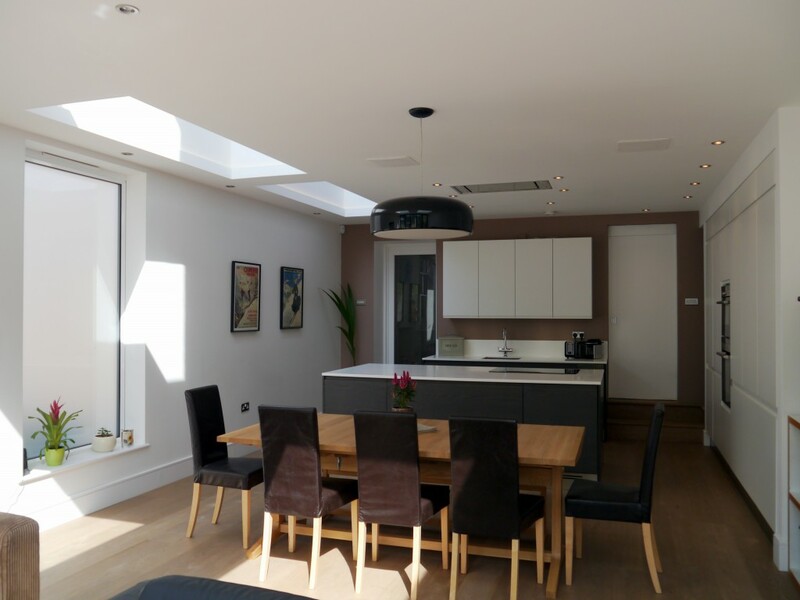 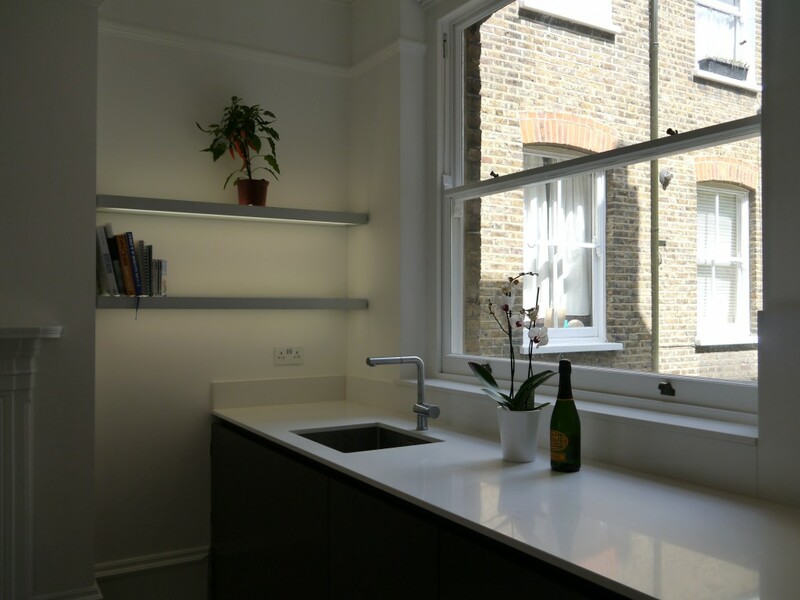 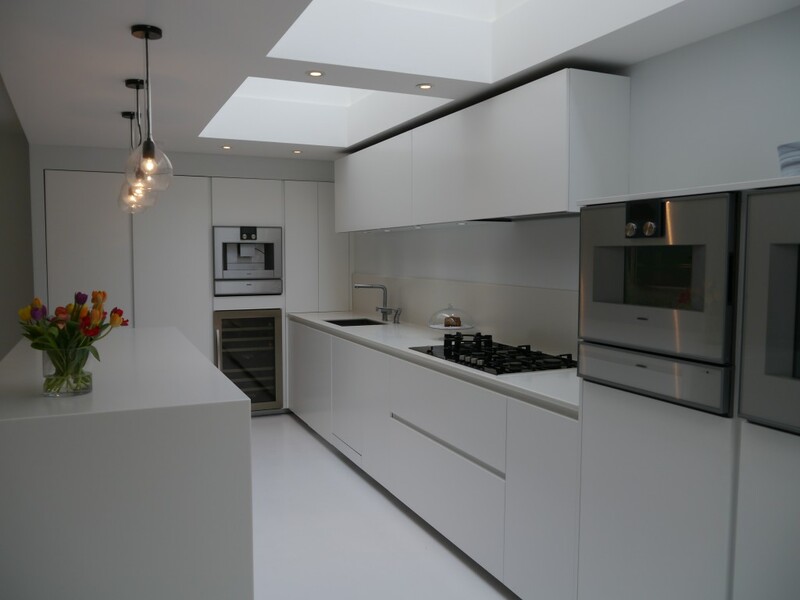 Open plan kitchen for townhouse extension in Hampstead. 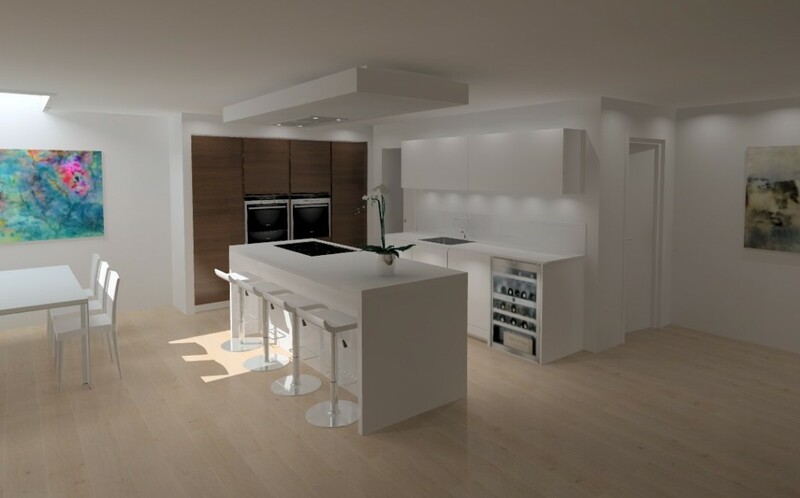 White Silk lacquered furniture from Comprex with Gaggenau appliances. 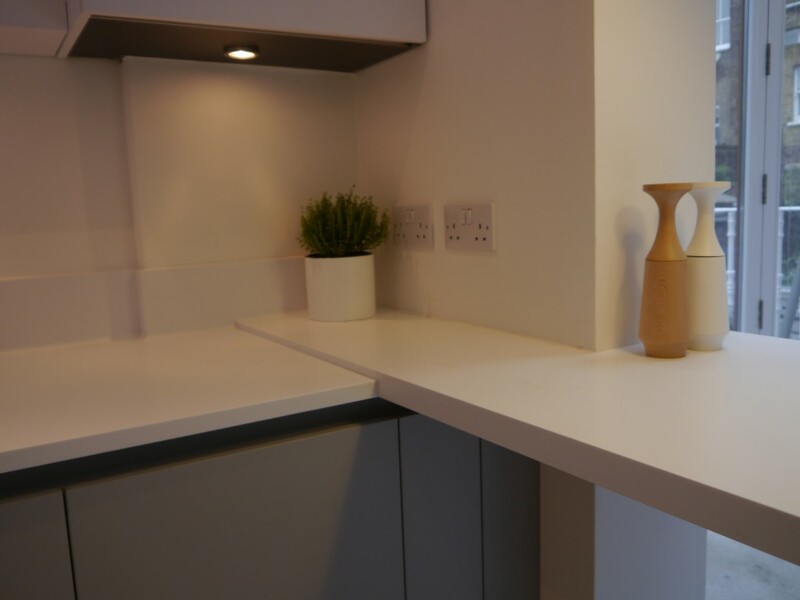 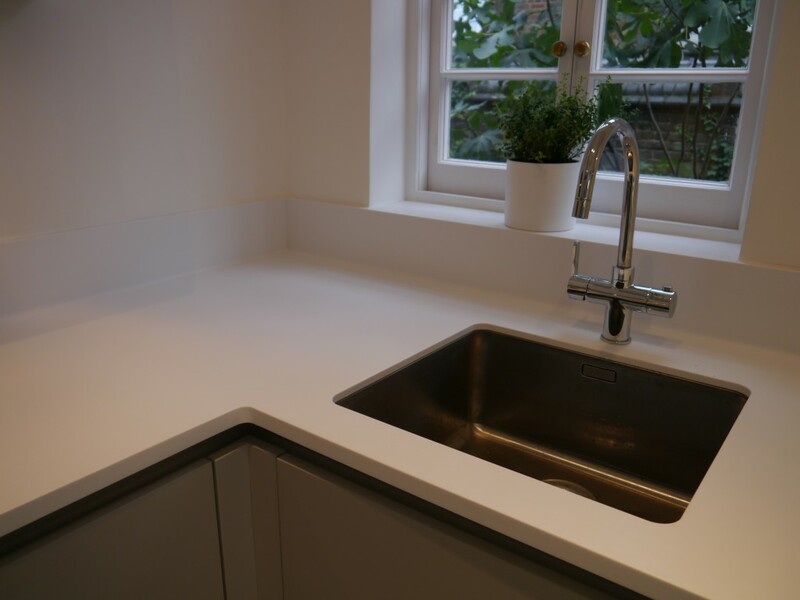 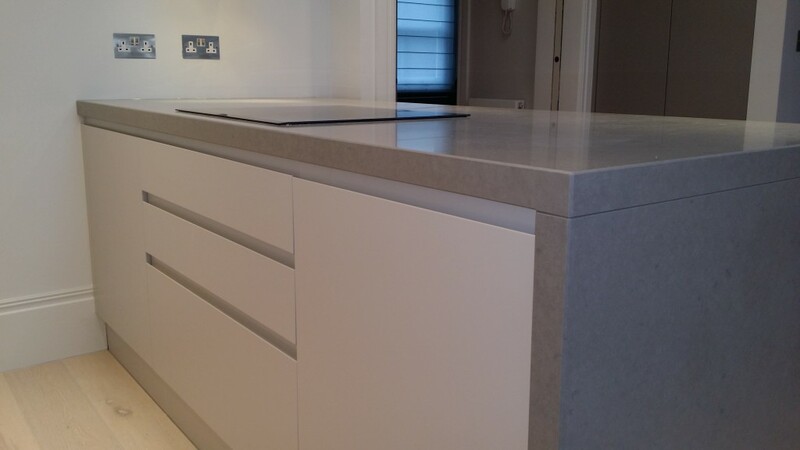 Worktops made of Corian, 20mm on kitchen run and 50mm wrapping around the island. 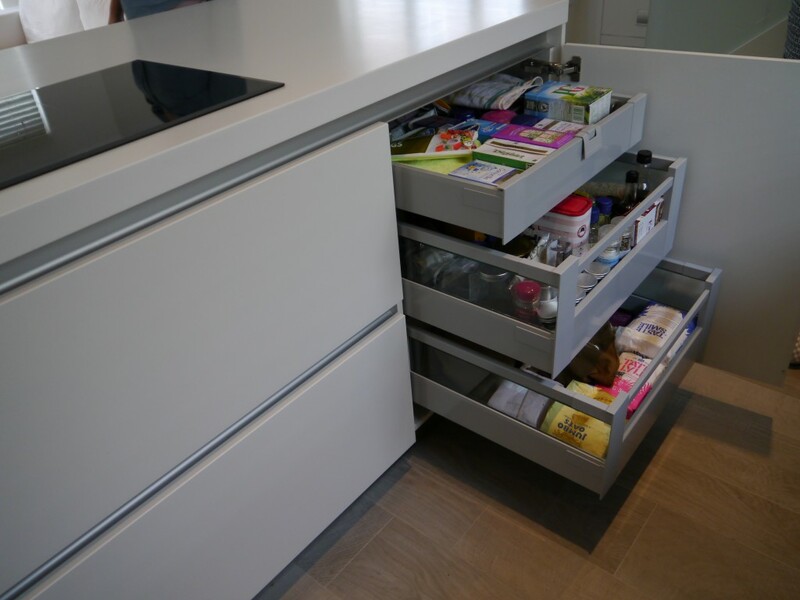 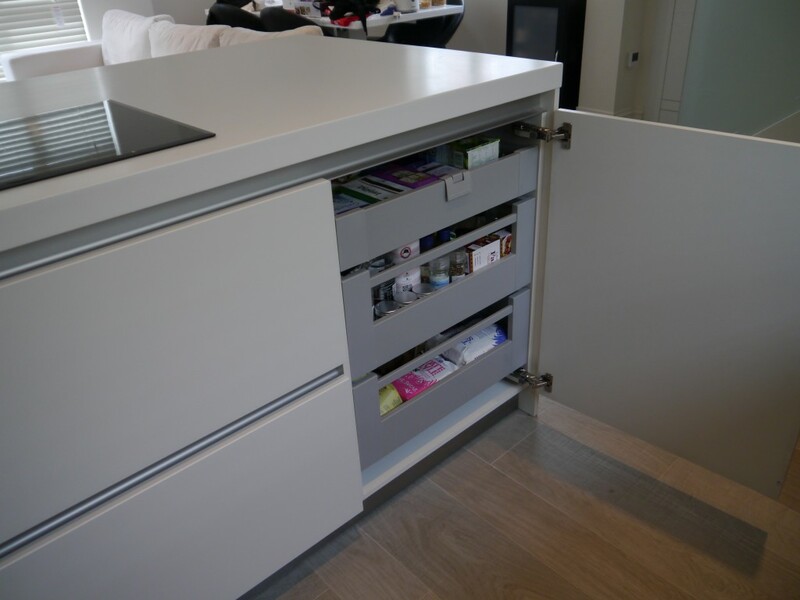 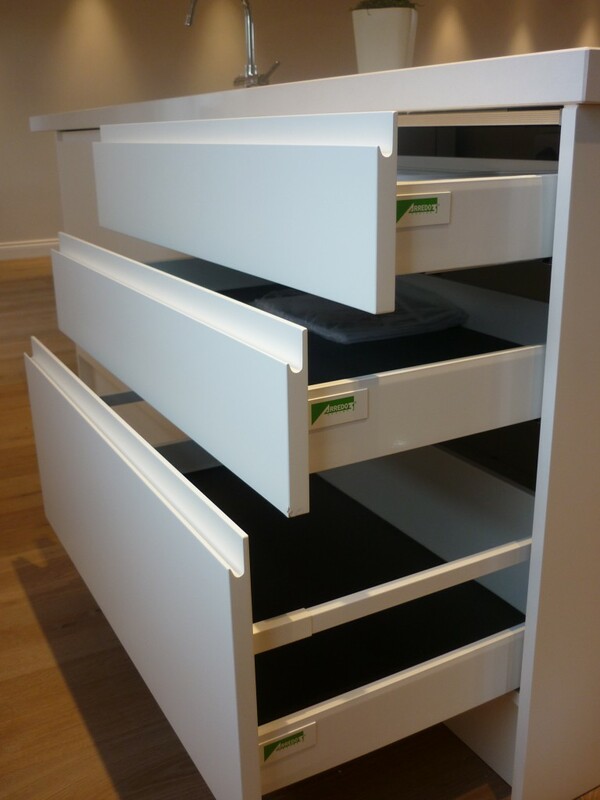 Large 1.2 meter drawer units offer grandiose storage. 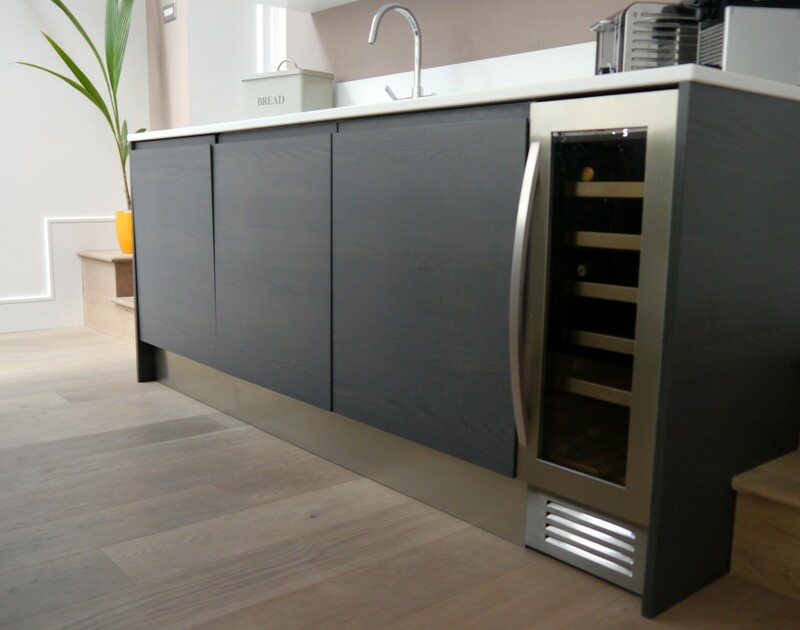 Island serves as a bar area as well as a good serving surface. 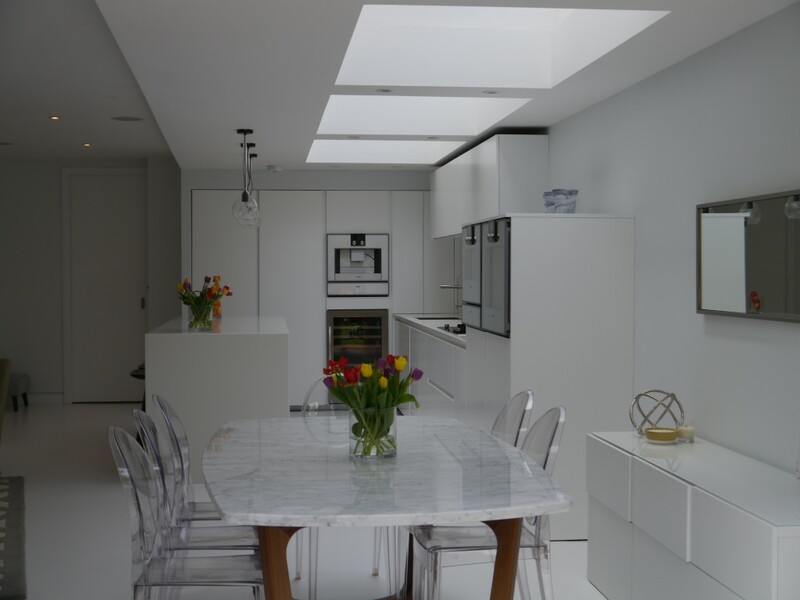 Light, spacious, uplifting. 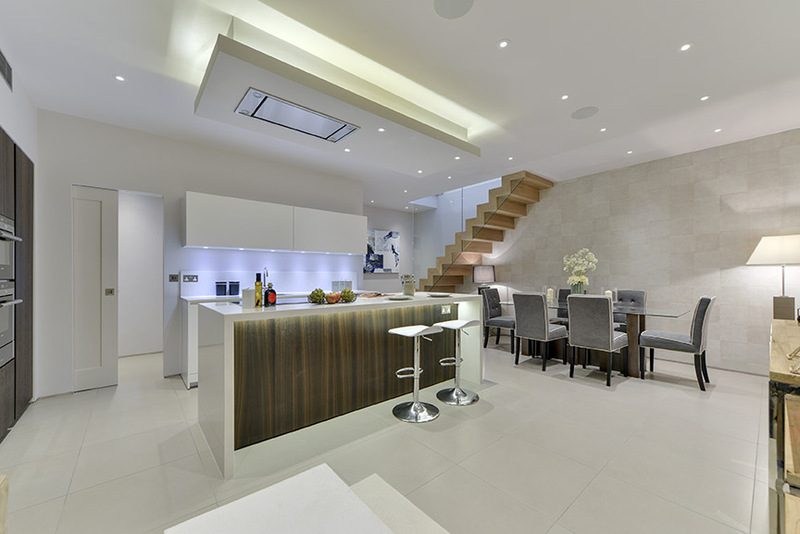 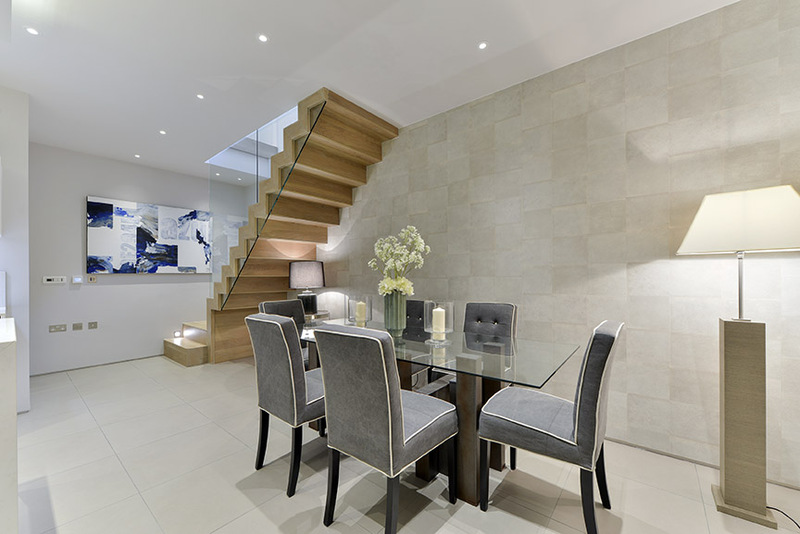 New built mews house, lower ground floor, Kensington. 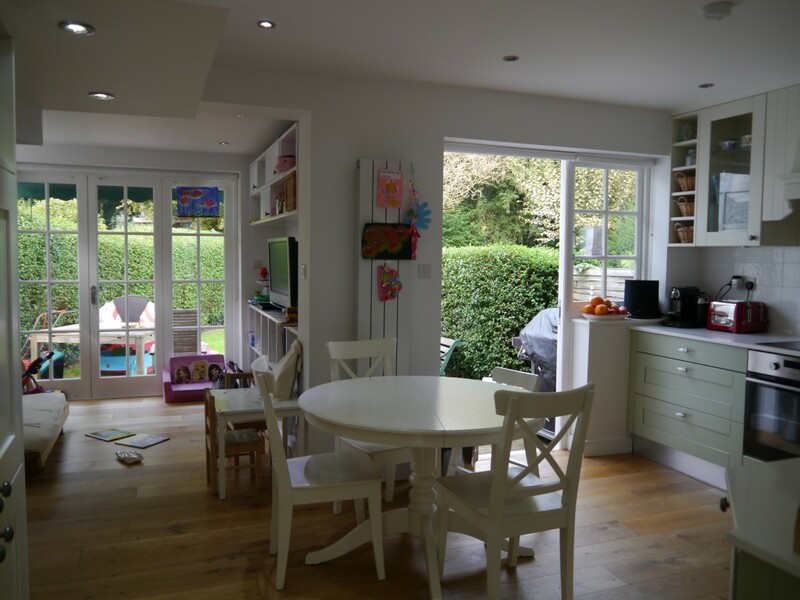 Light colours brightening up the spacious areas dining and small sitting. 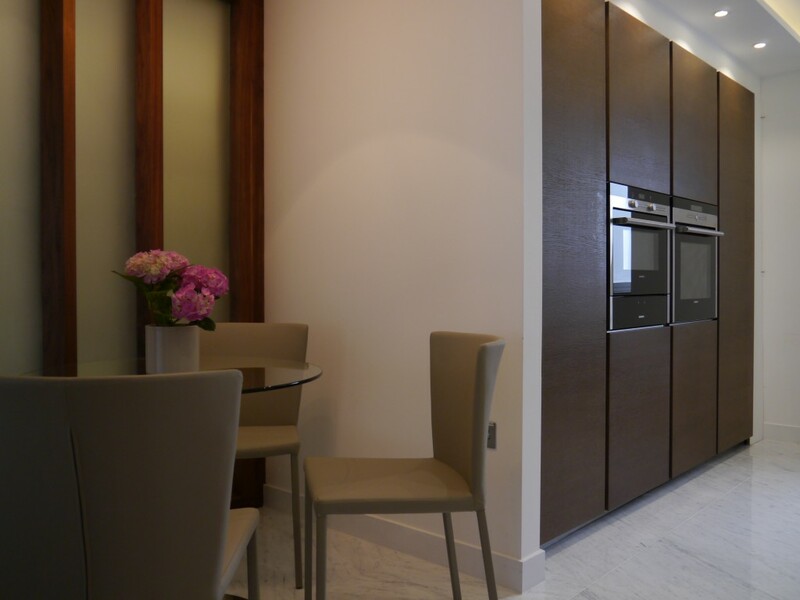 Veneered doors bring in furnished feel and warmth. 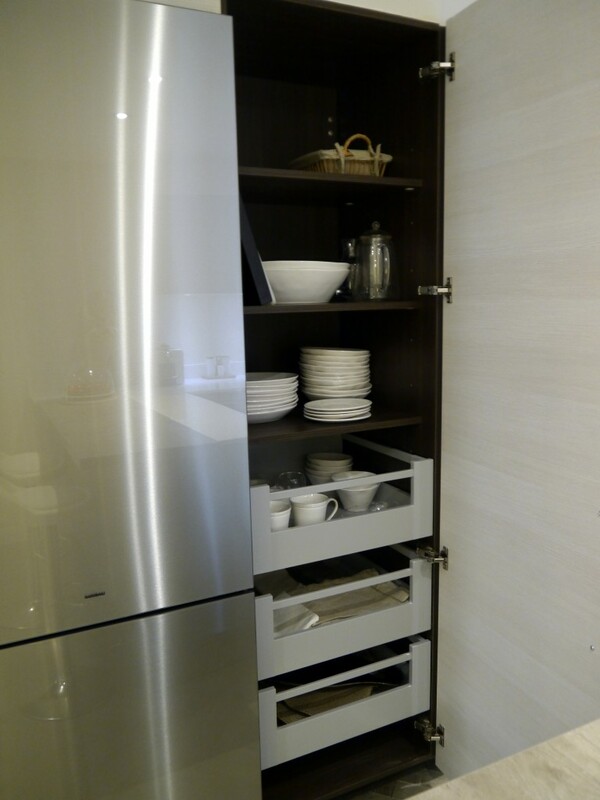 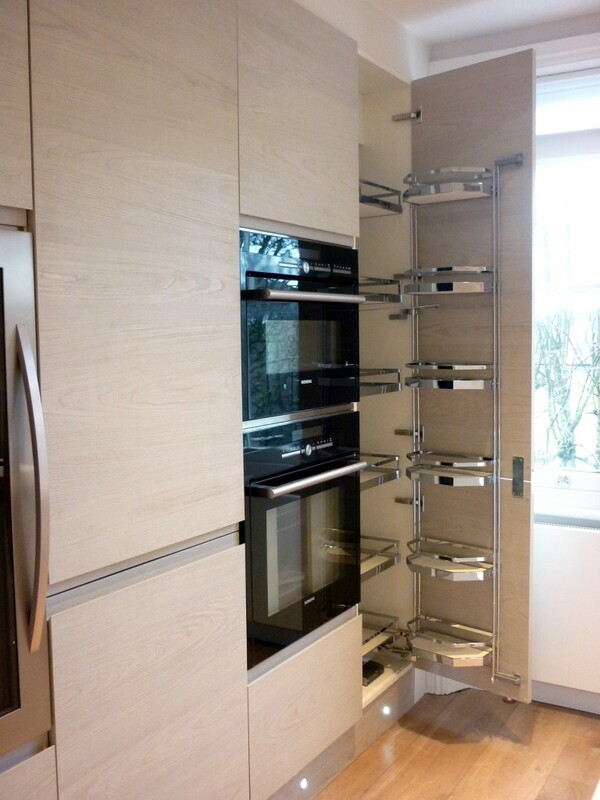 Outstanding furniture from Comprex (Italy) was matched with Miele and Siemens appliances and quartz worktops. 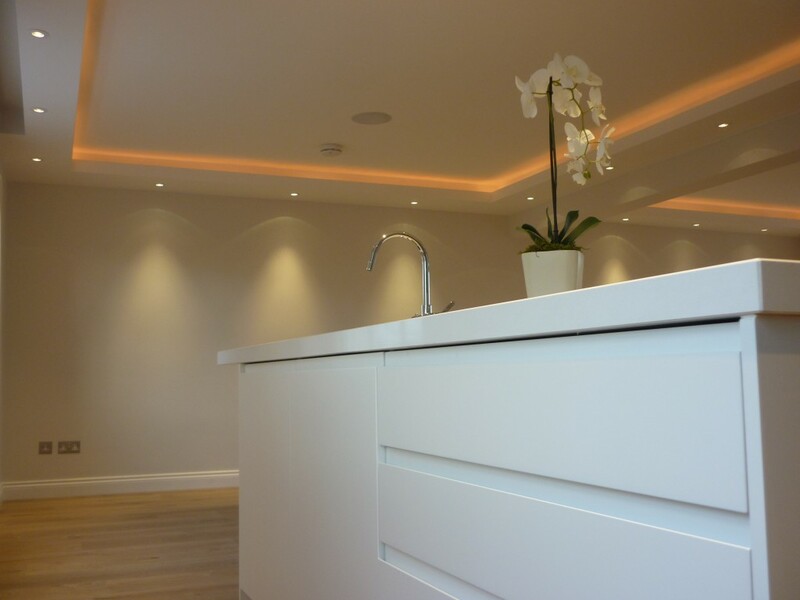 Central position of island is highlighted by ceiling detail and lights. 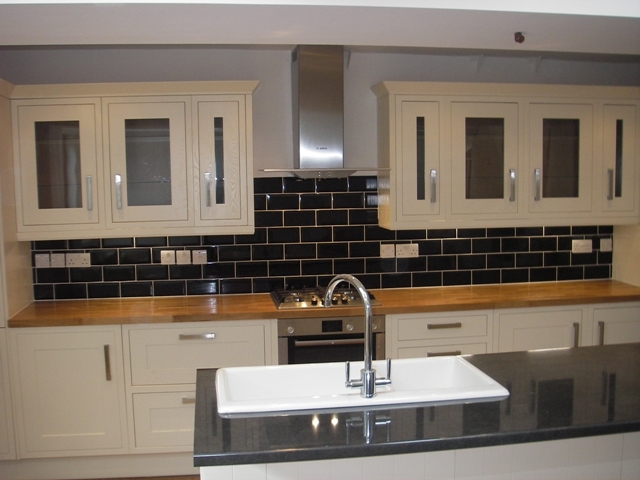 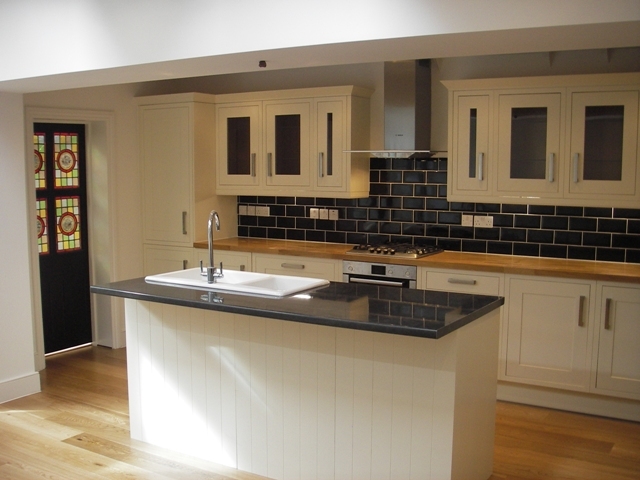 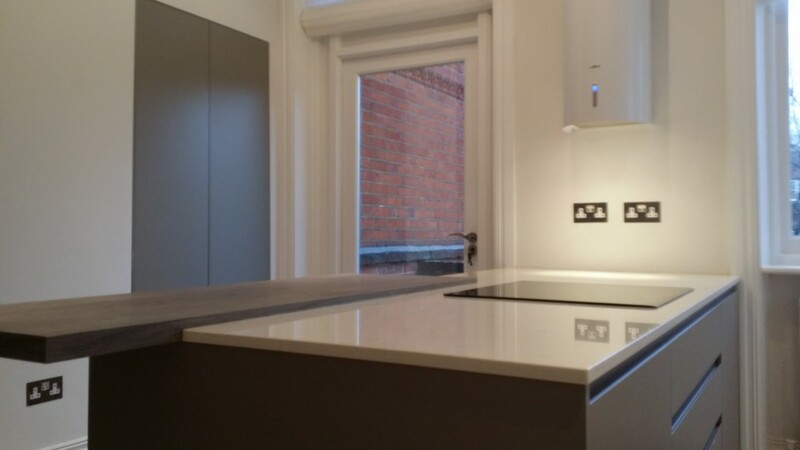 English made with Samsung and Siemens appliances and quartz worktops. 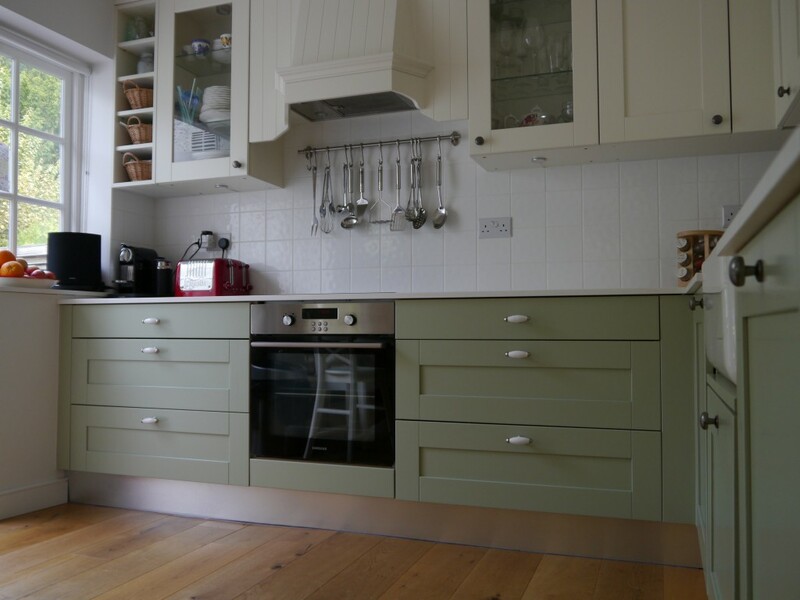 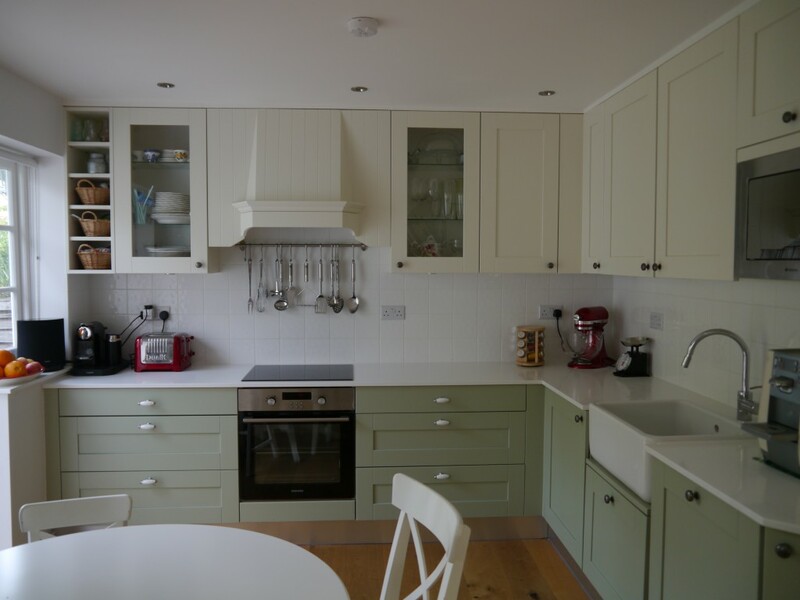 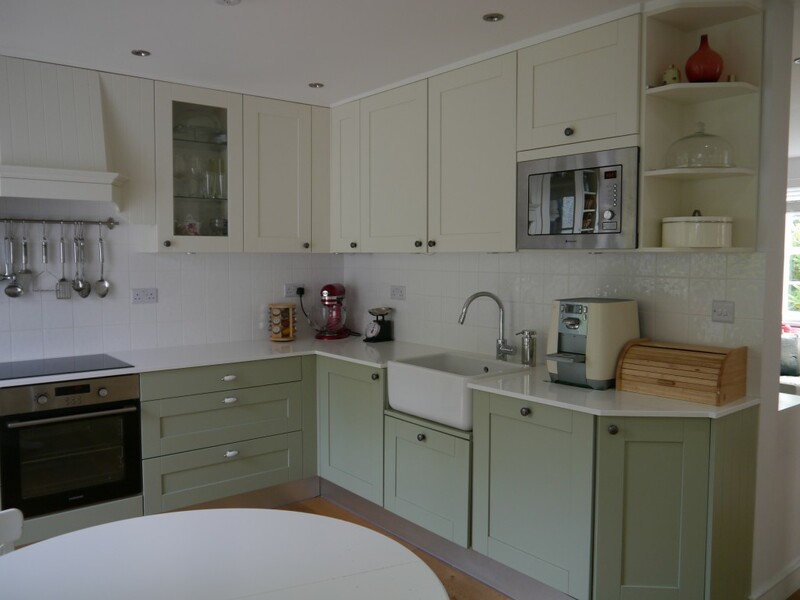 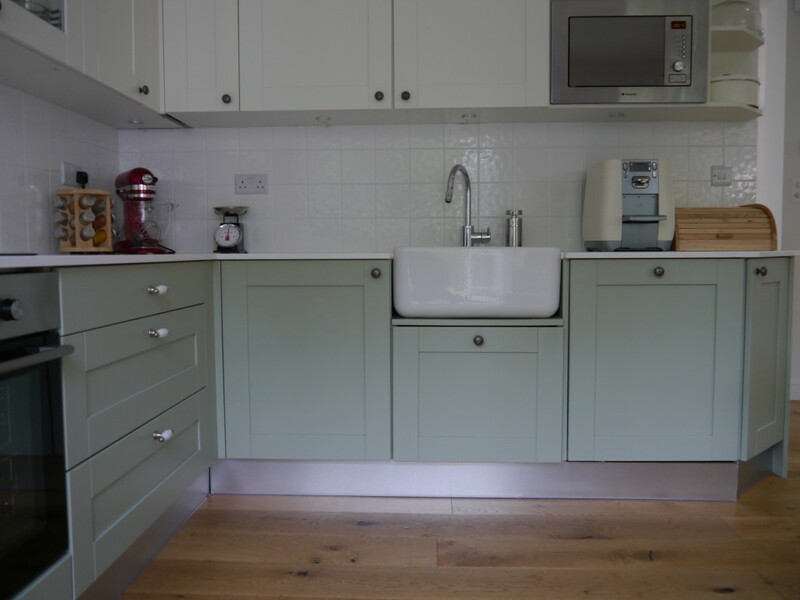 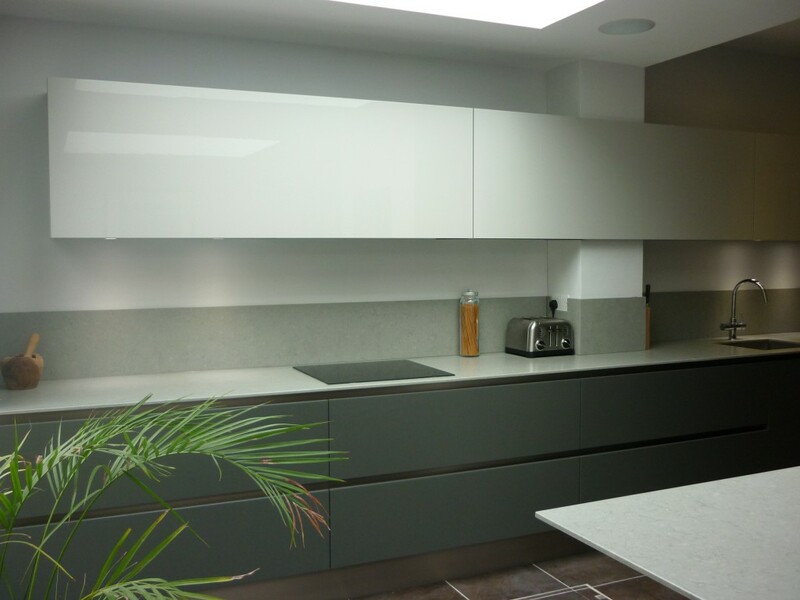 Combination of apple green and magnolia colours with plain white worktop brings modernity to traditional design. 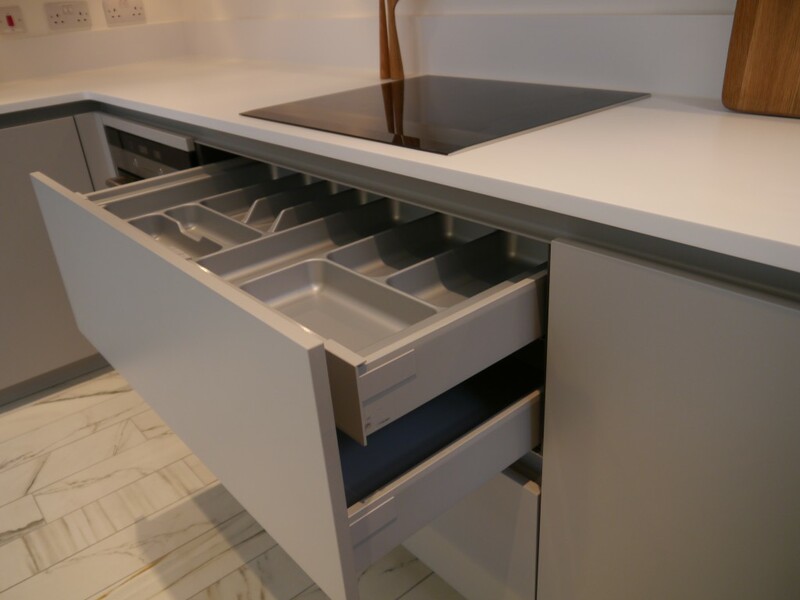 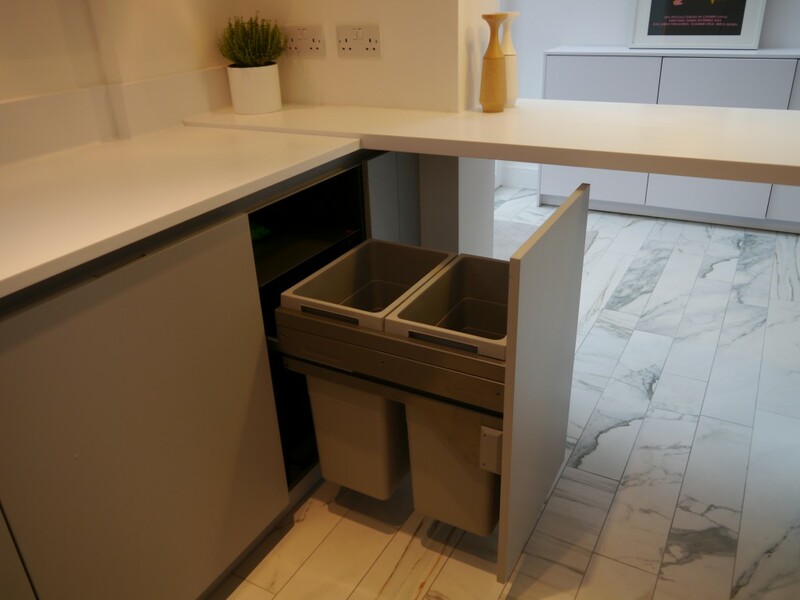 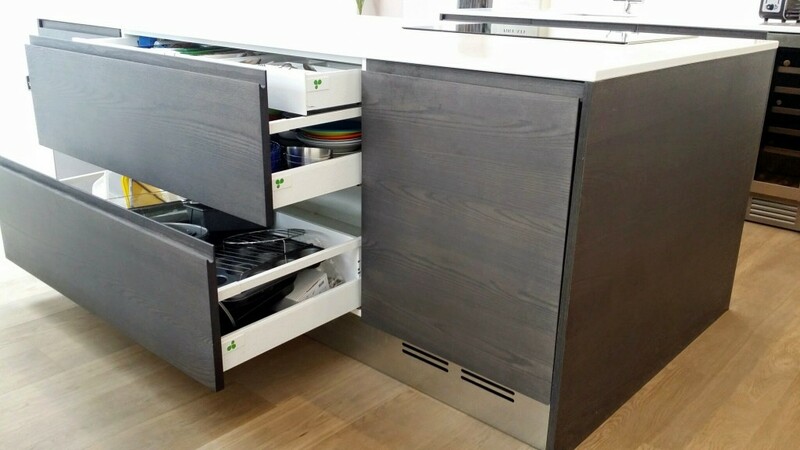 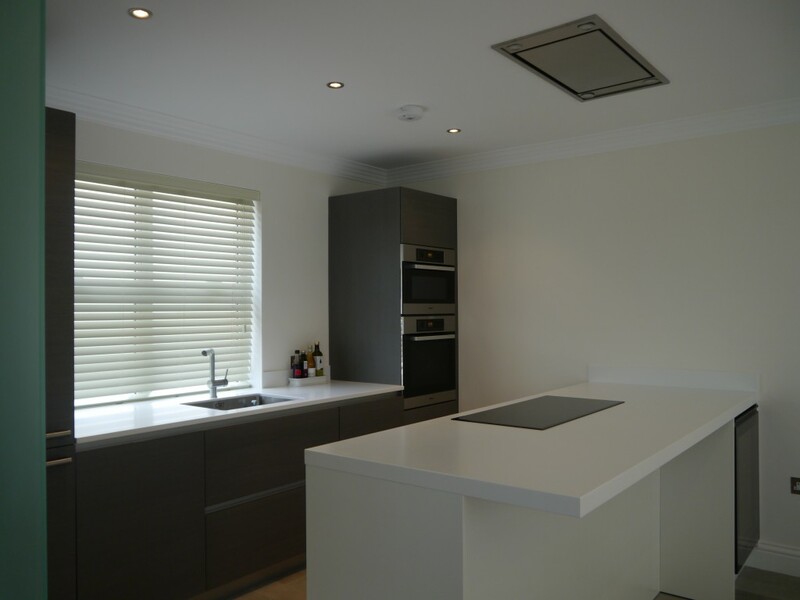 Large drawer provide the same comfort as contemporary kitchens while traditional extractor hood and symmetric glass wall units strengthen the traditional look. 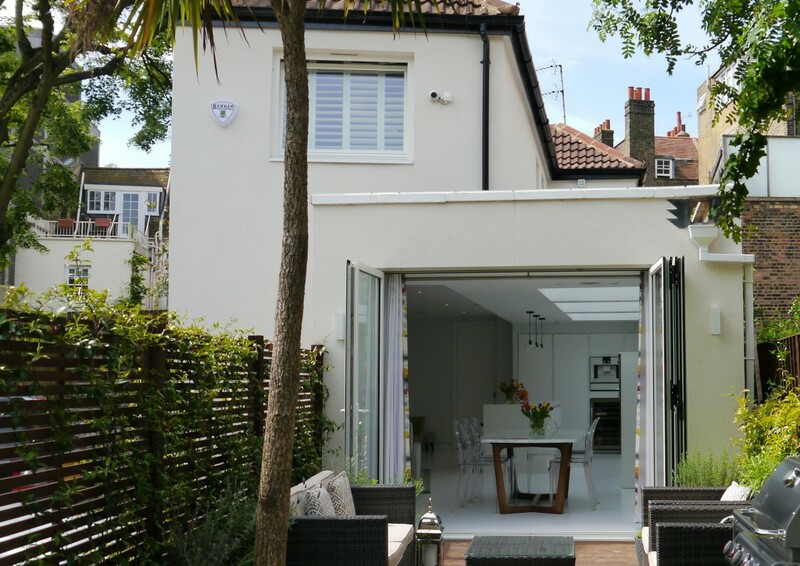 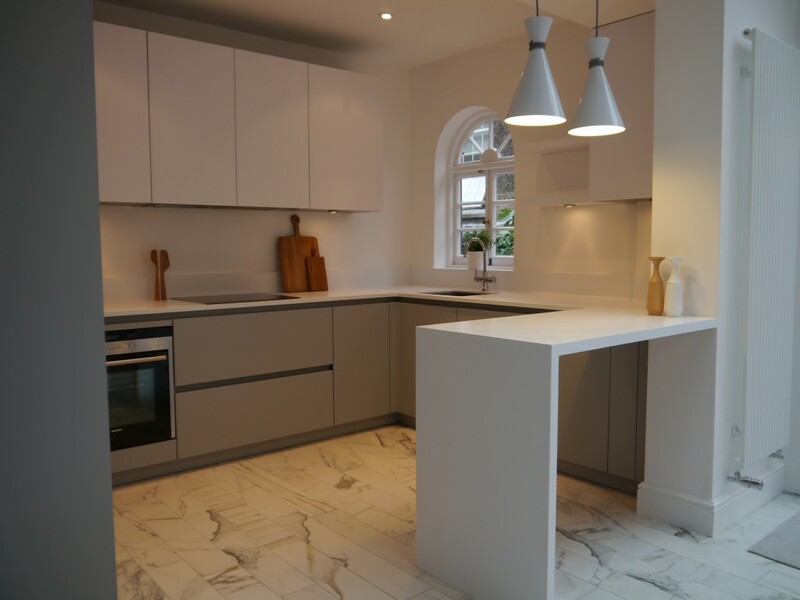 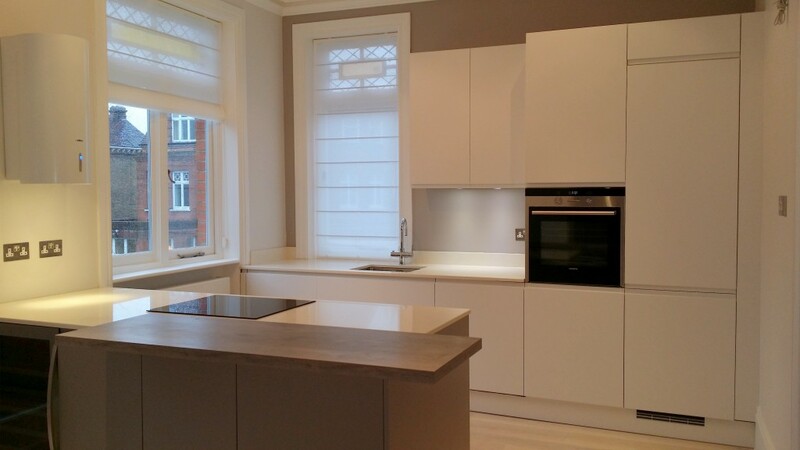 Full flat refurbishment in St Johns Wood, NW8. 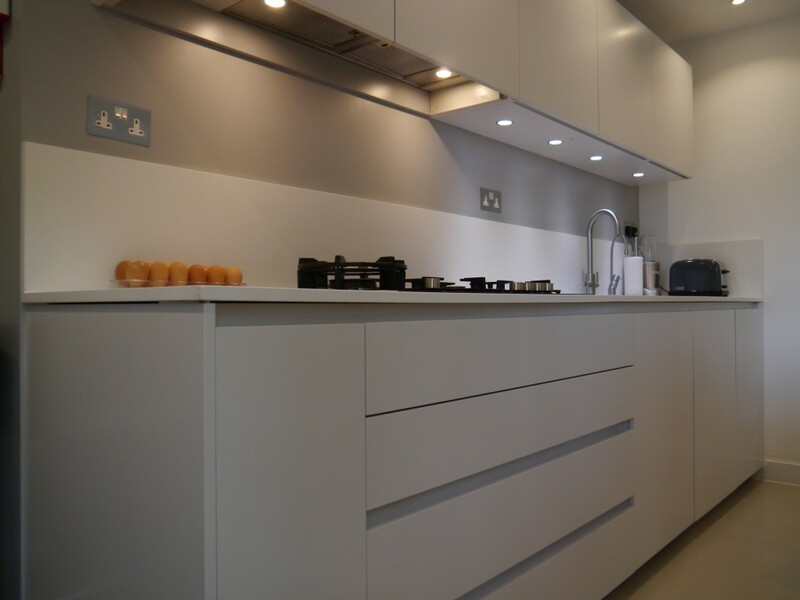 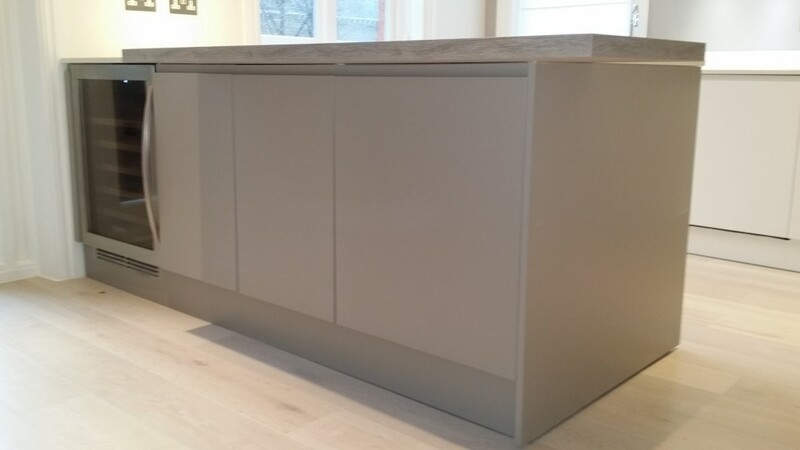 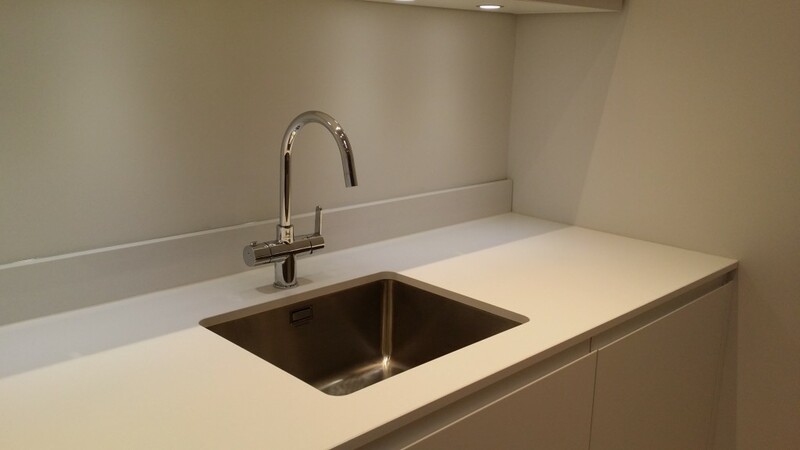 This is a Comprex kitchen (Italian) very light grey, matt lacquered with white worktops. 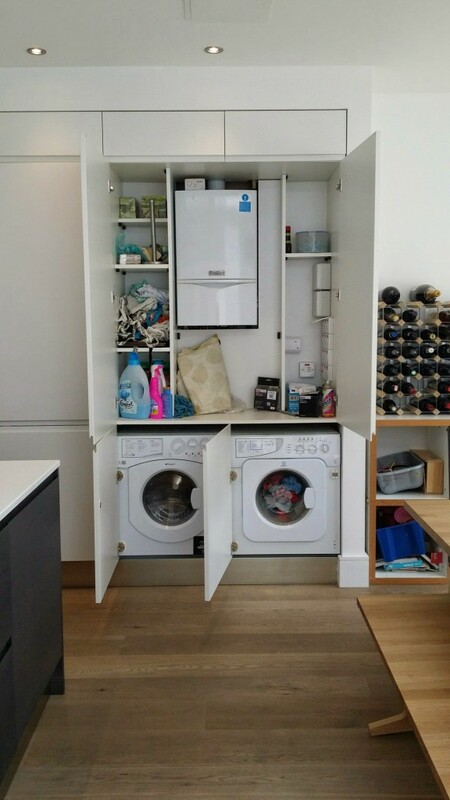 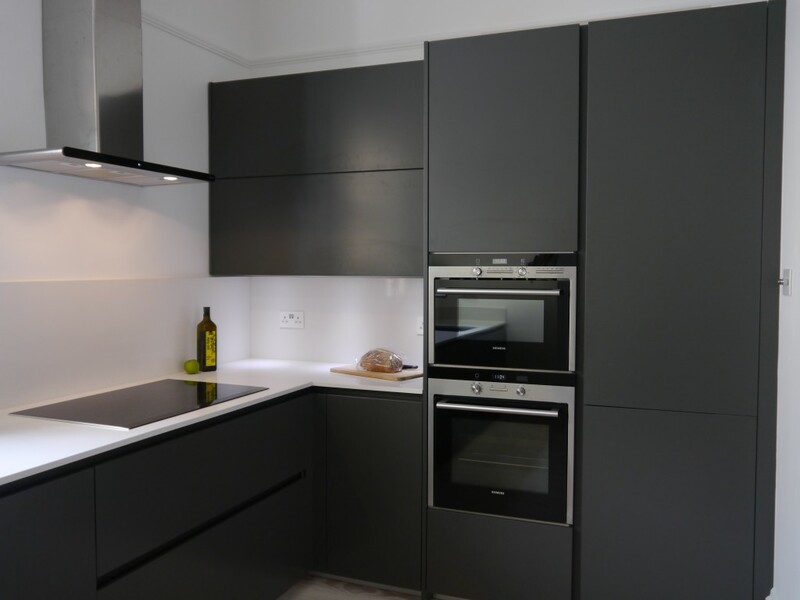 The layout serves kosher cooking requirements and laundry functions. 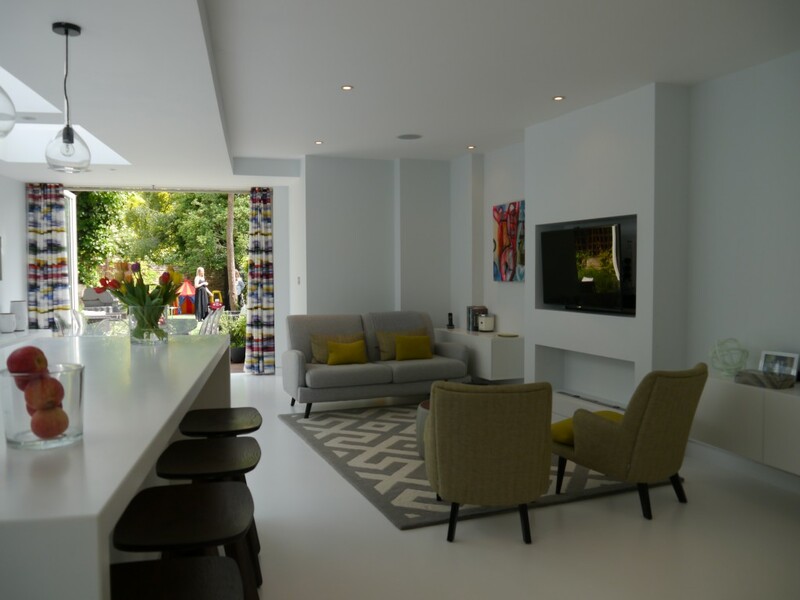 Still it has become an integrated space. 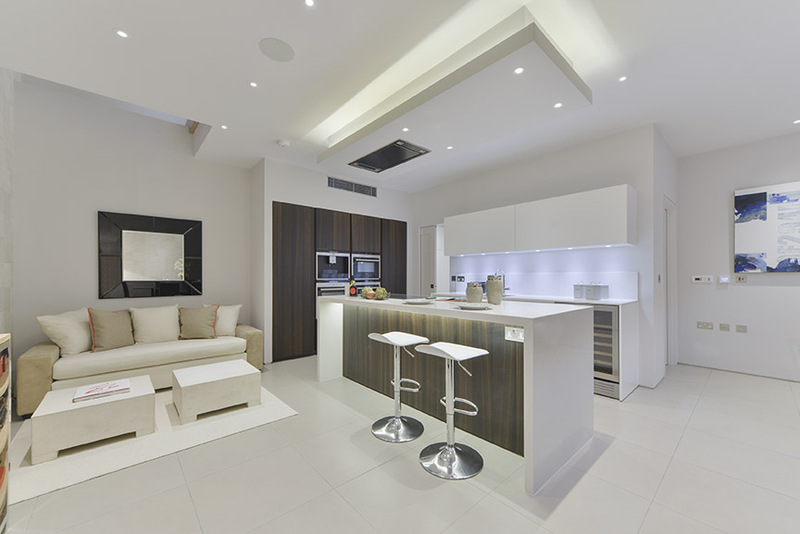 Miele and Siemens appliances fulfil the quality of the high-end kitchen. 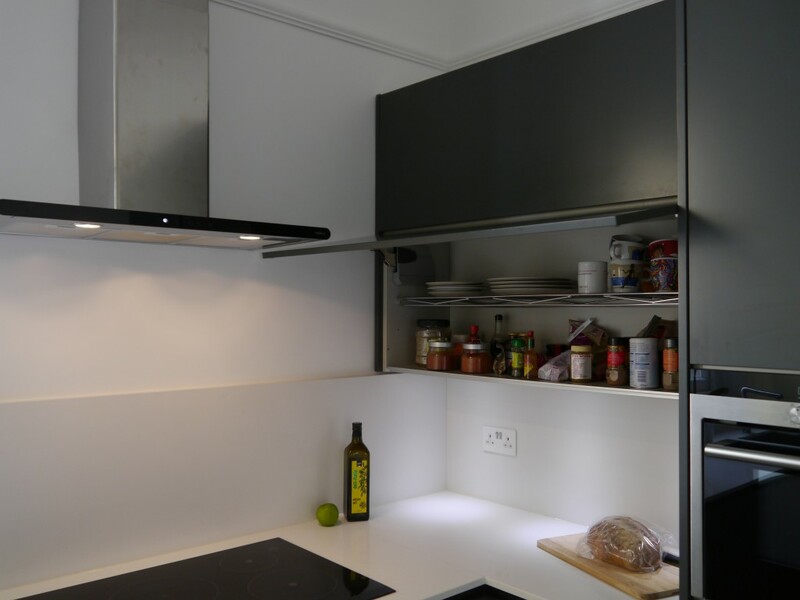 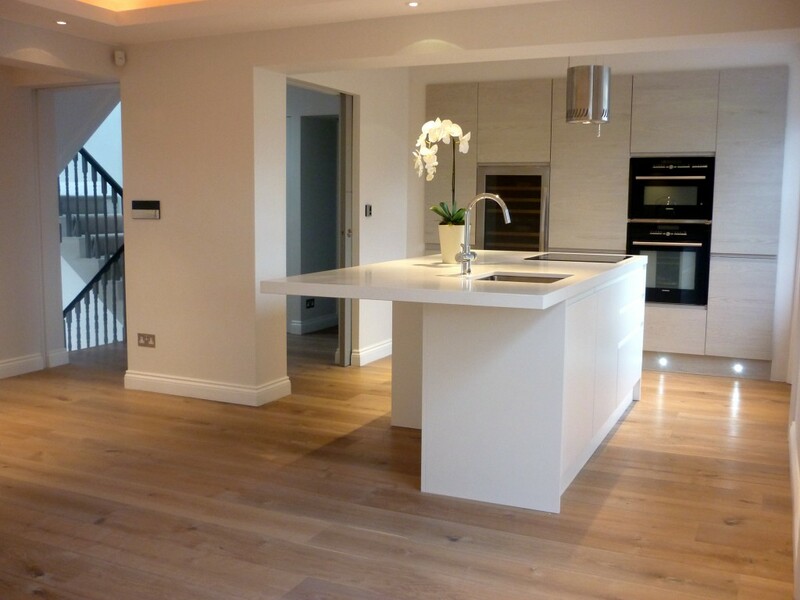 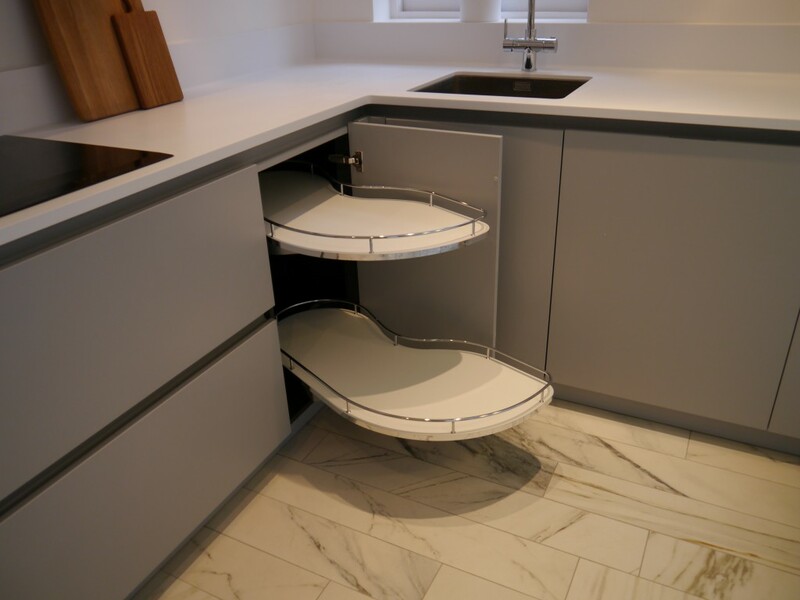 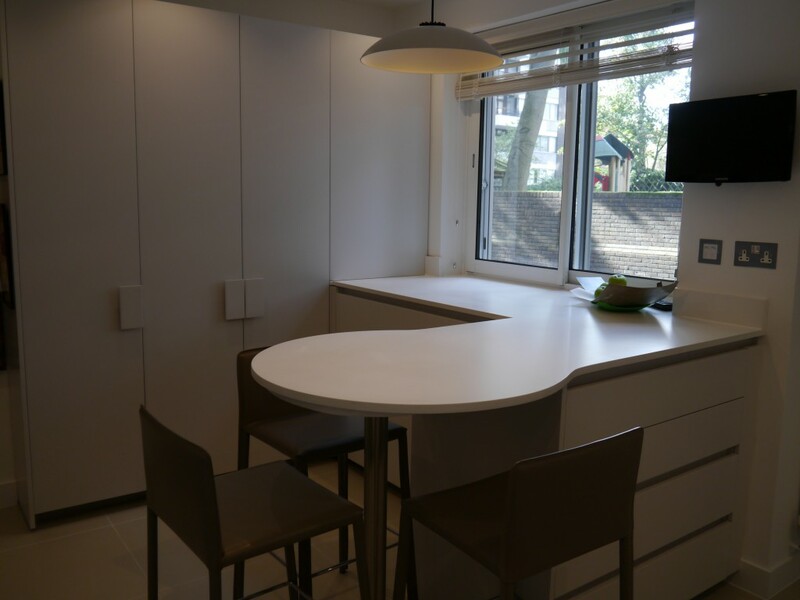 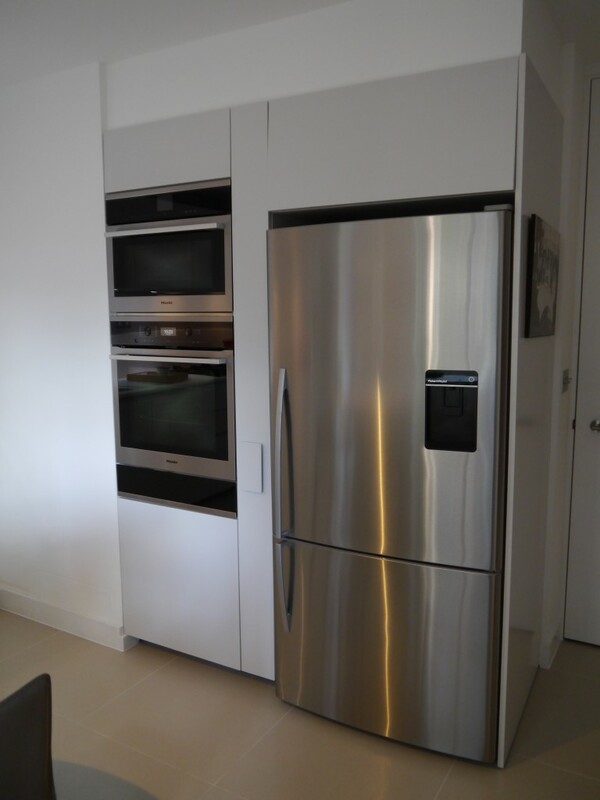 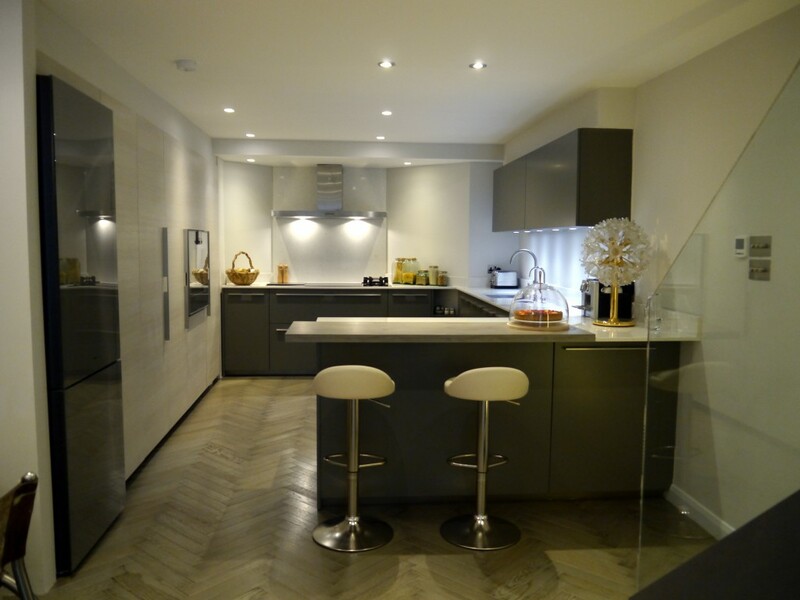 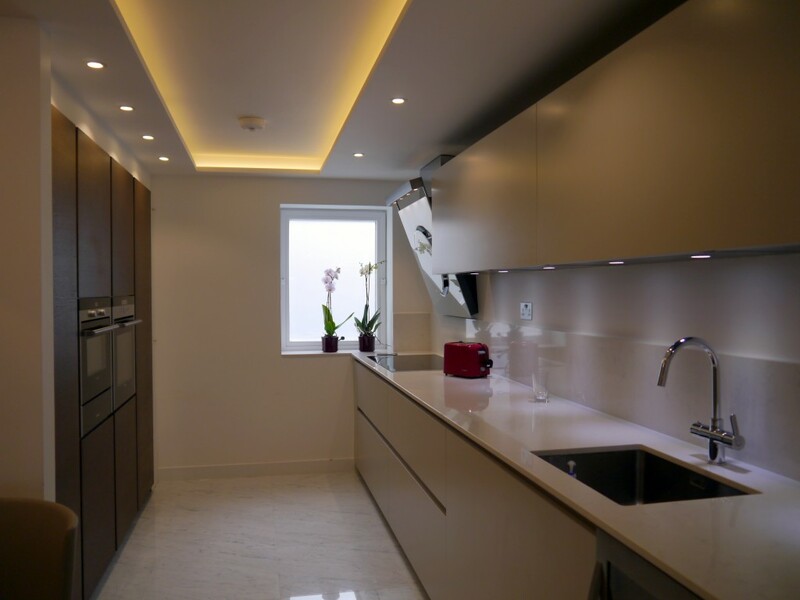 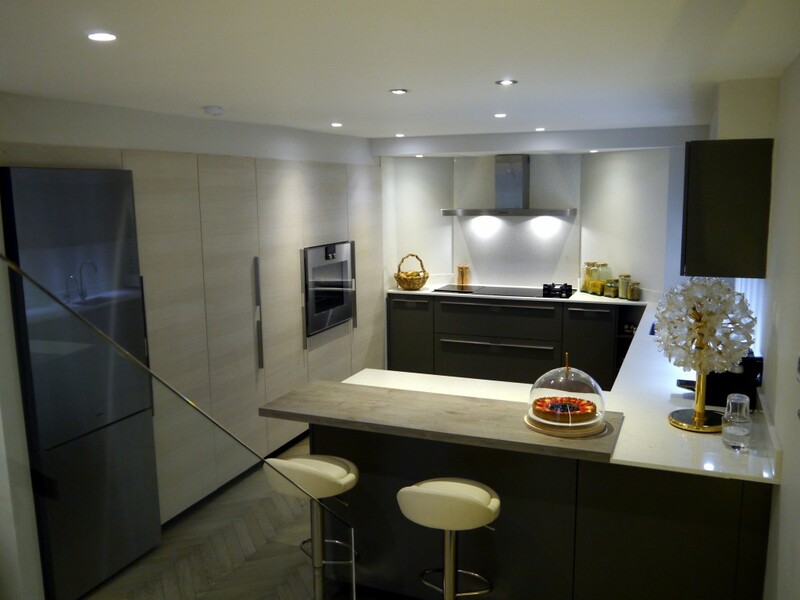 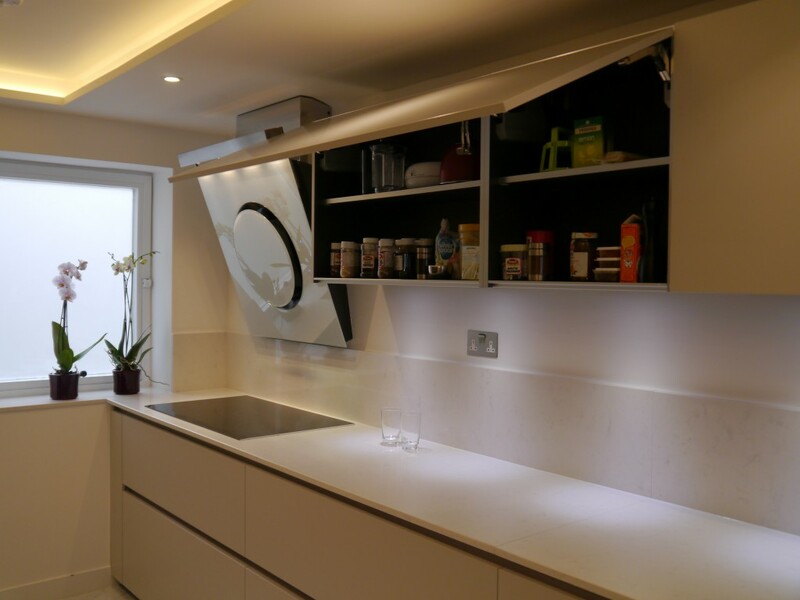 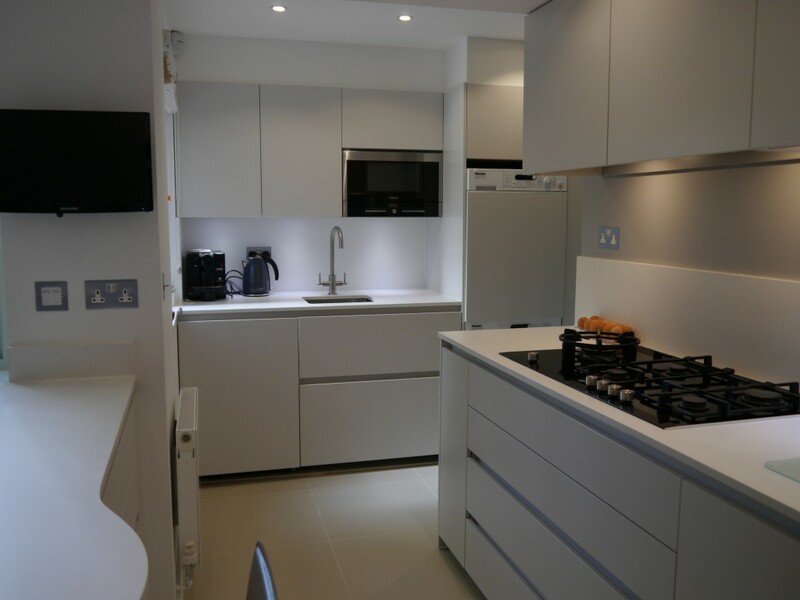 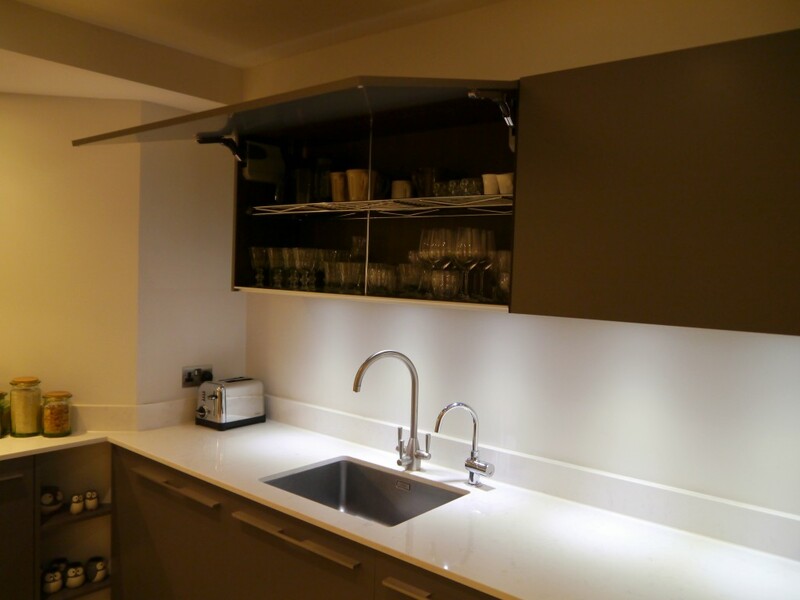 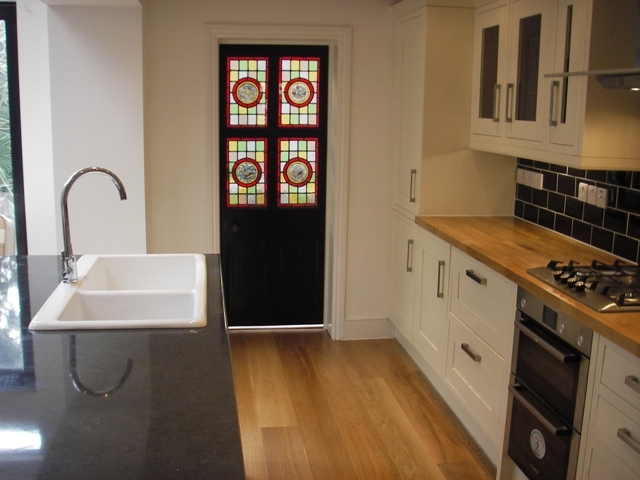 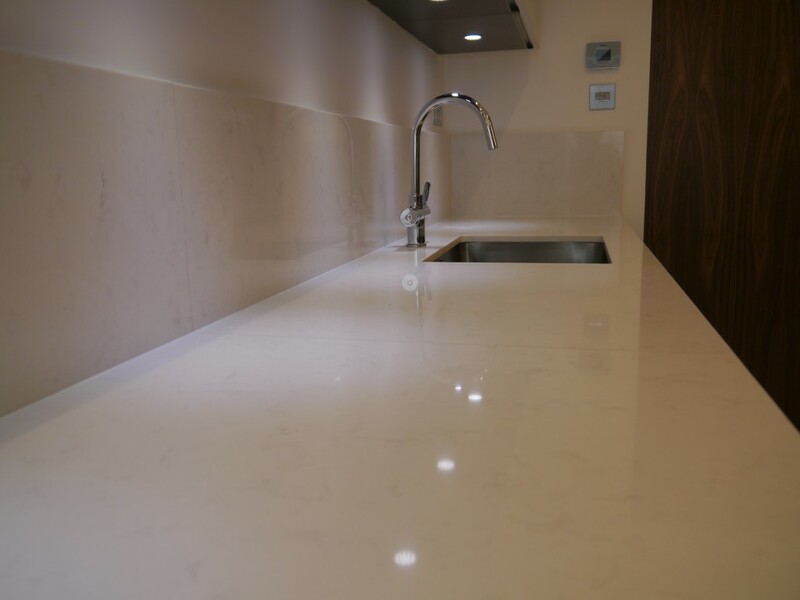 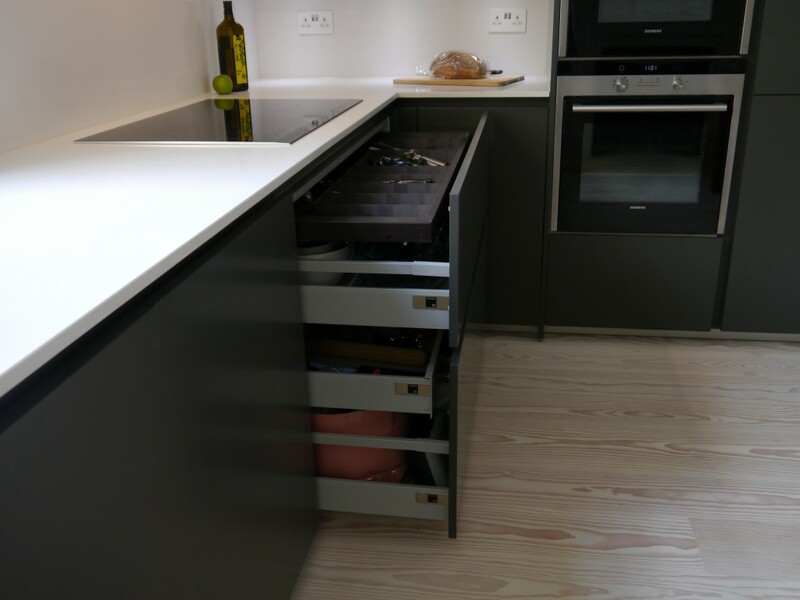 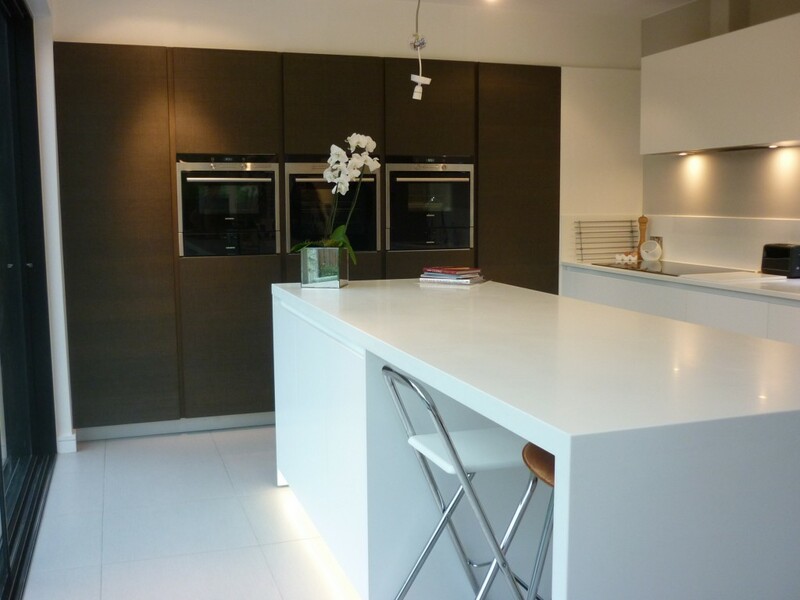 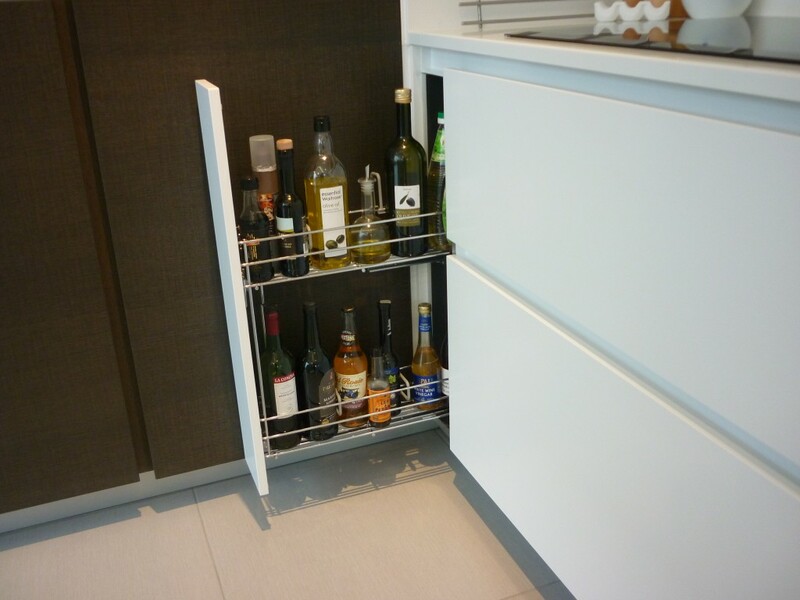 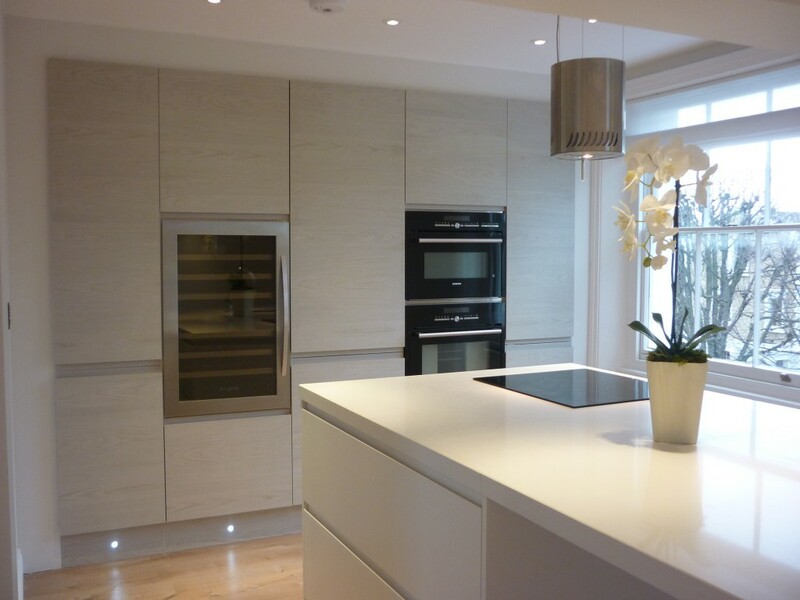 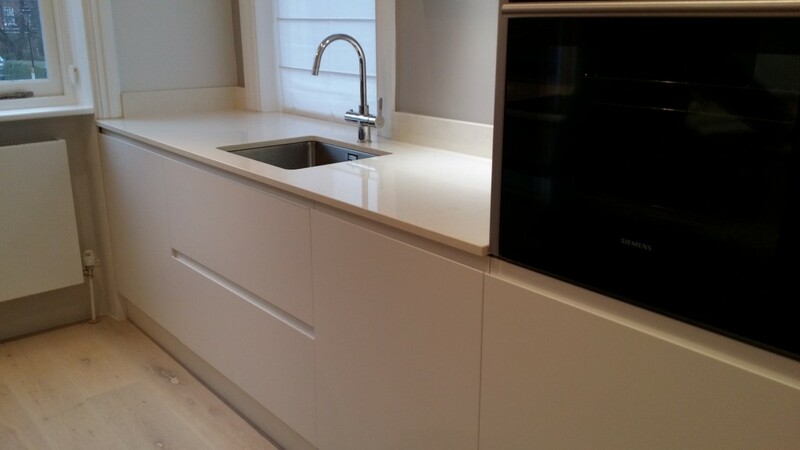 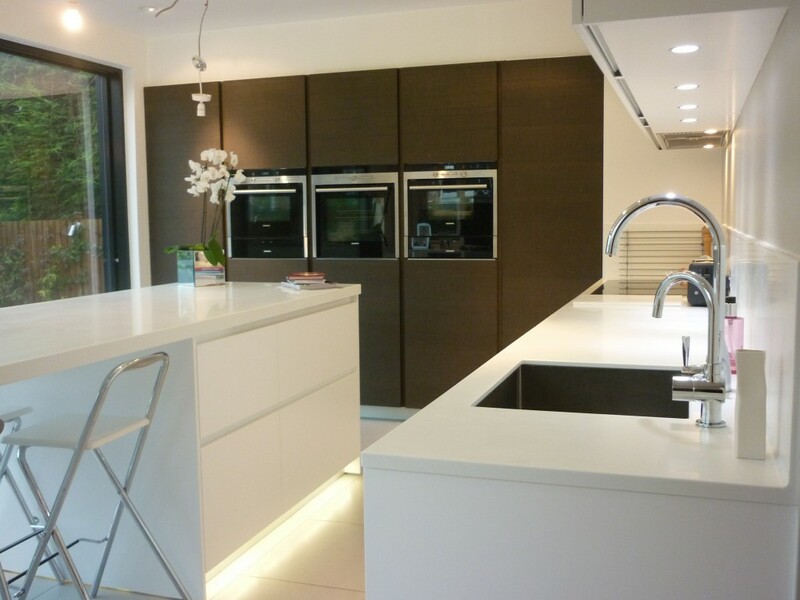 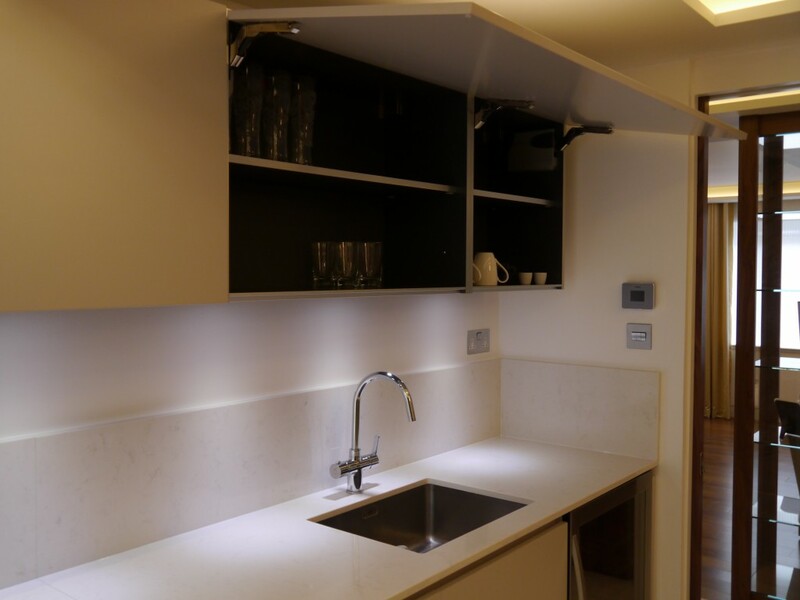 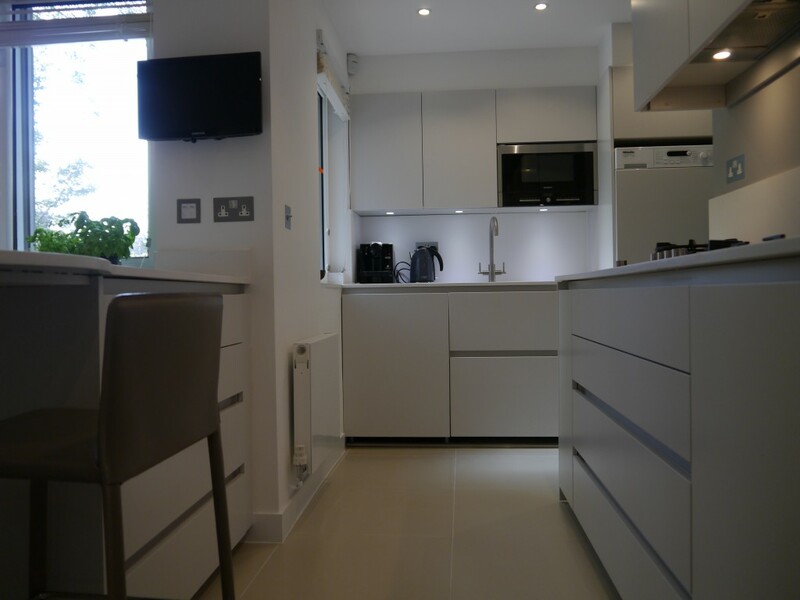 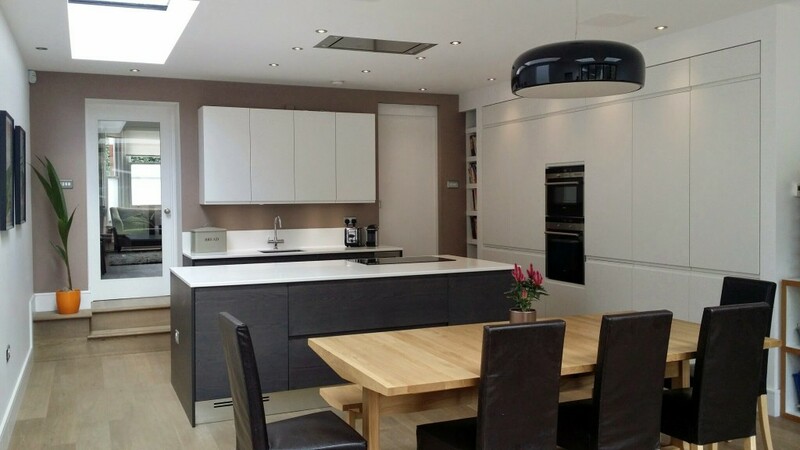 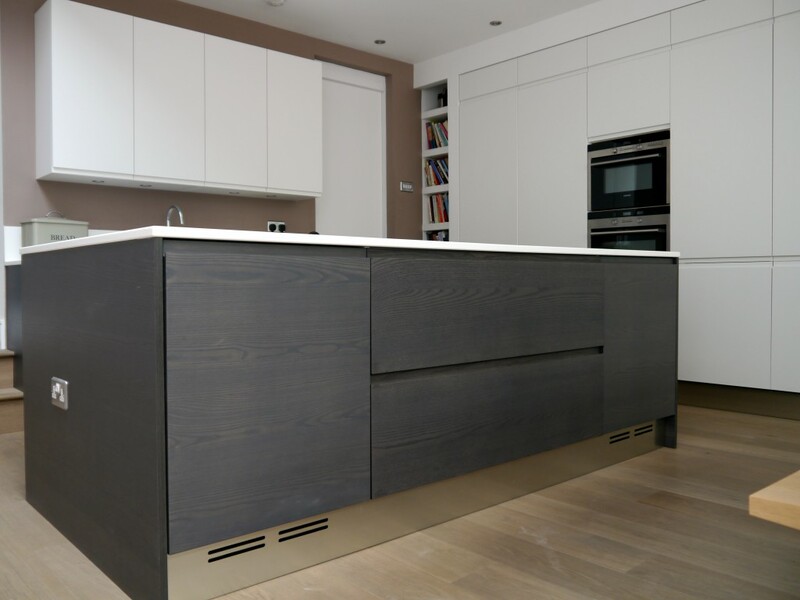 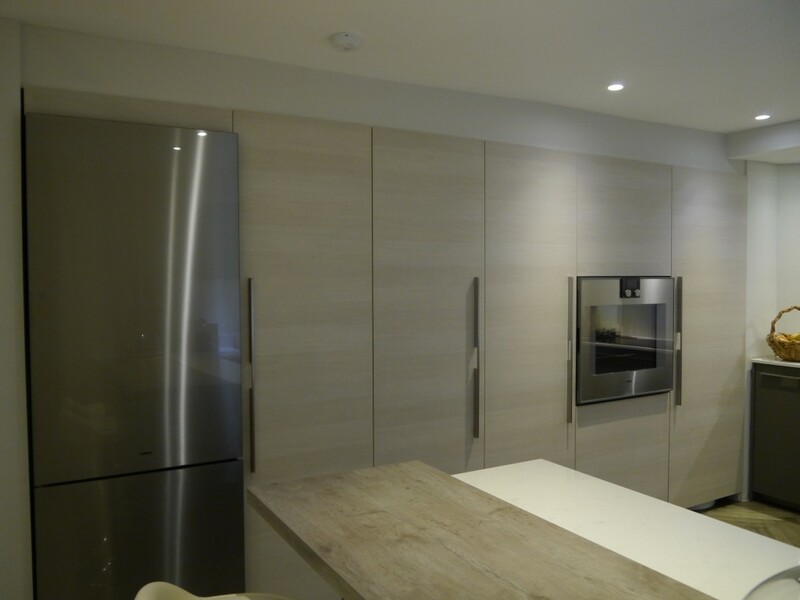 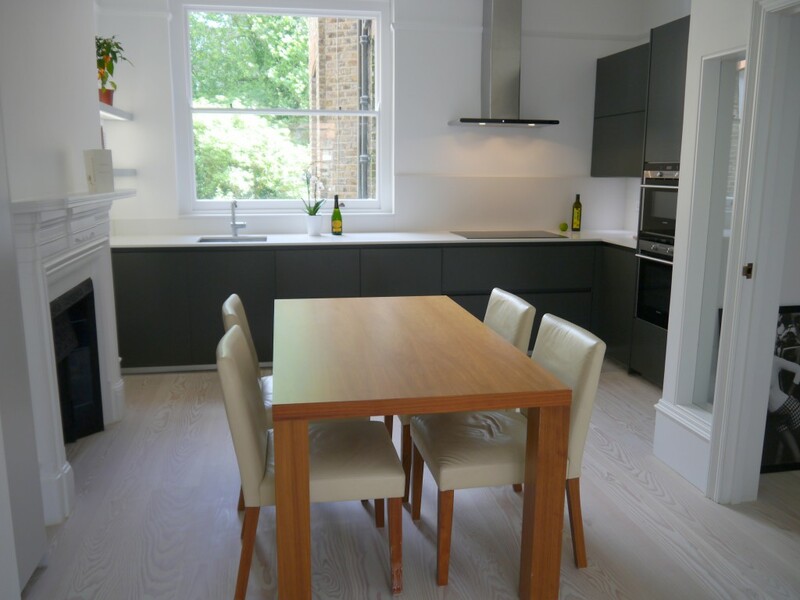 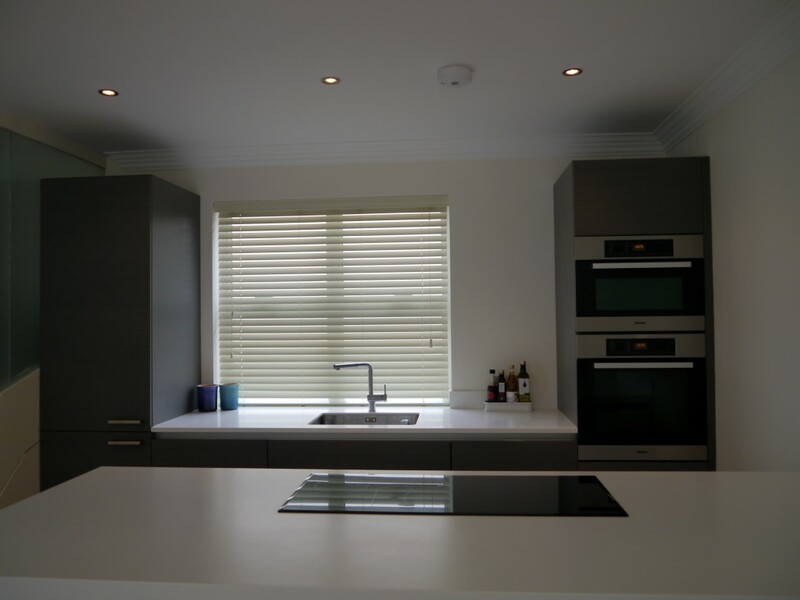 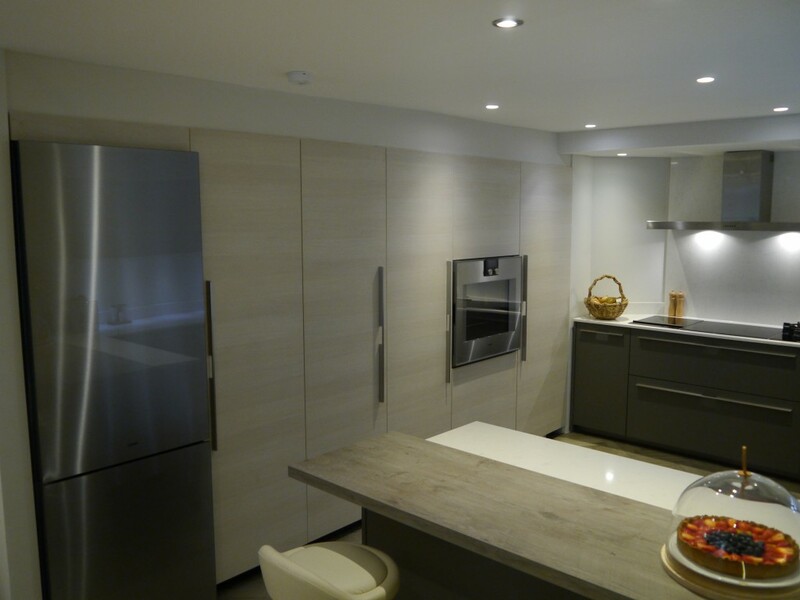 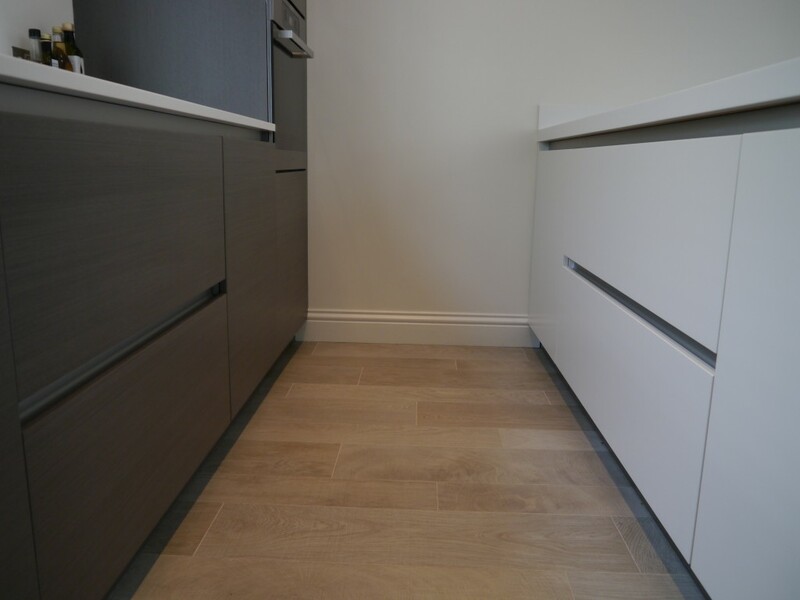 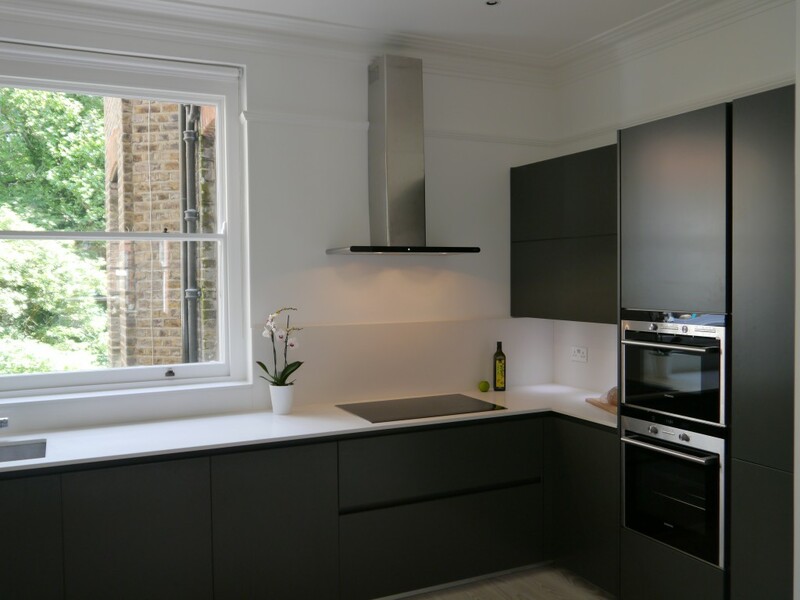 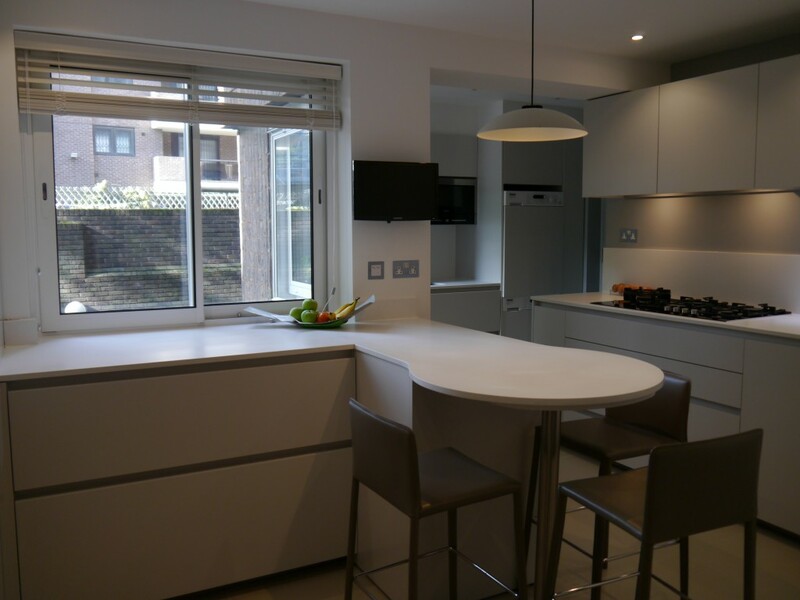 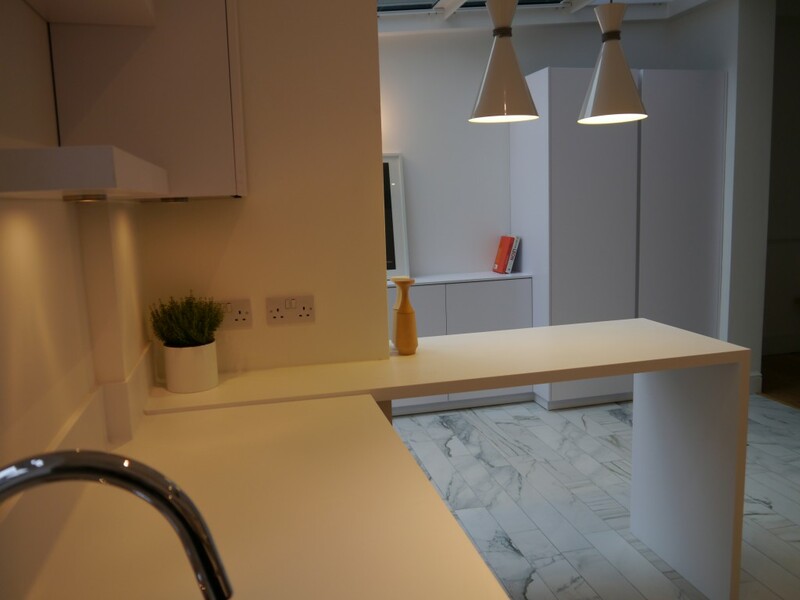 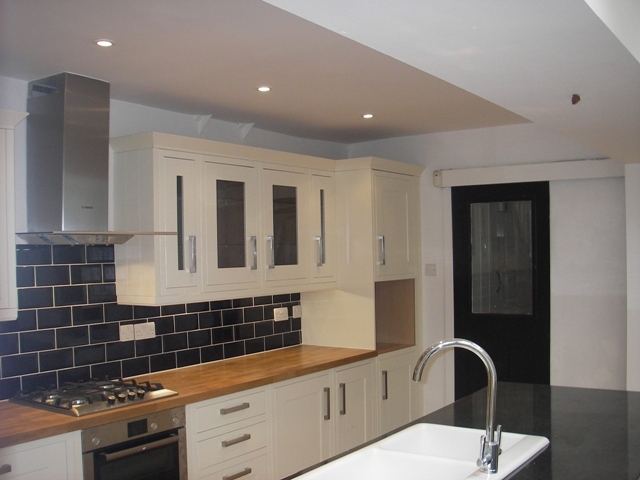 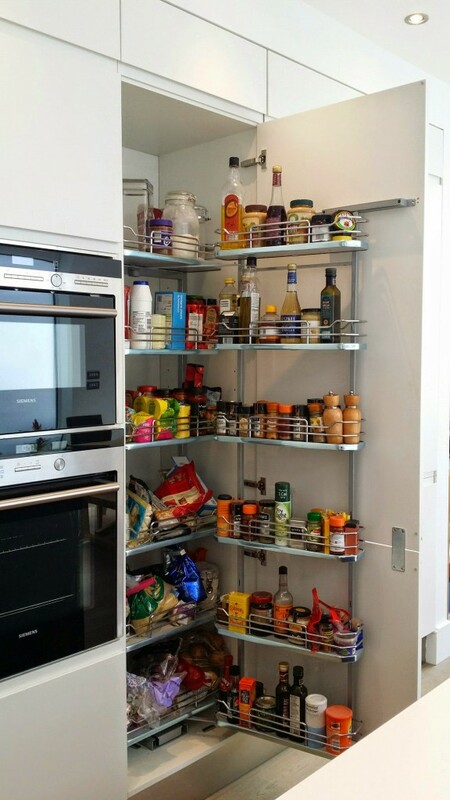 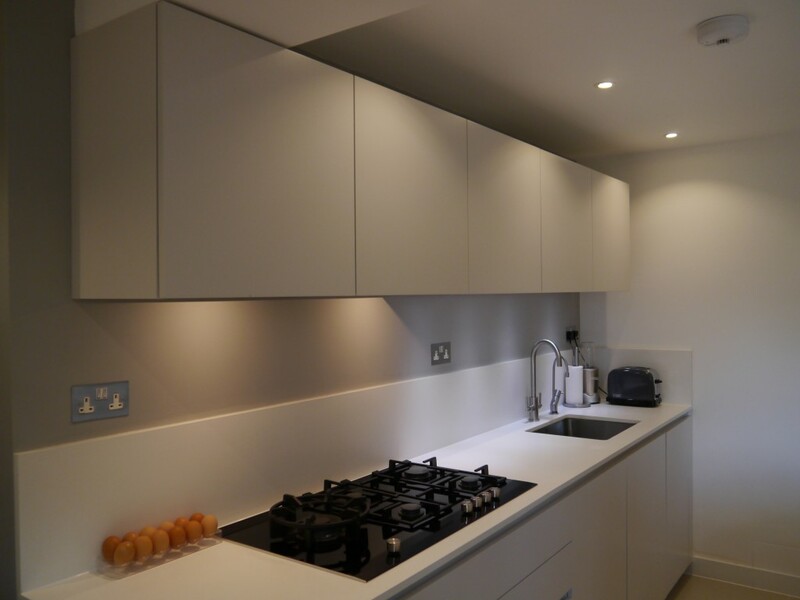 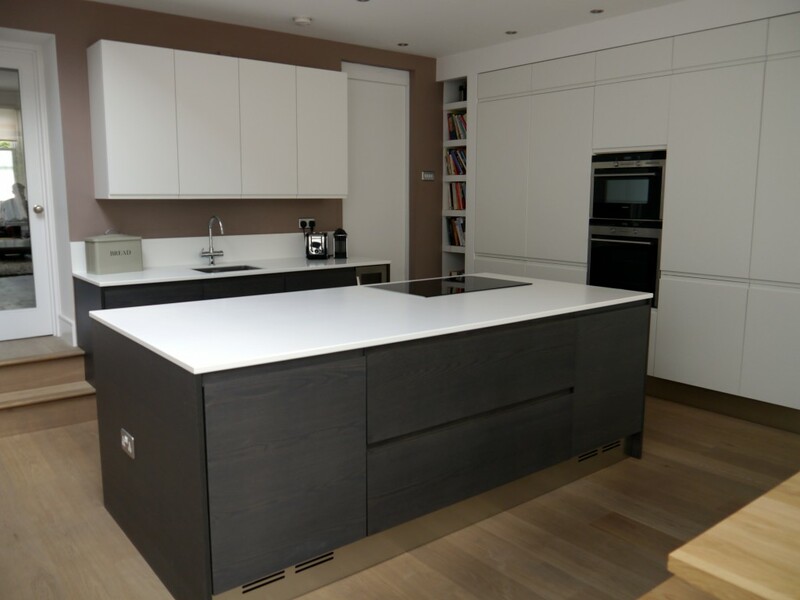 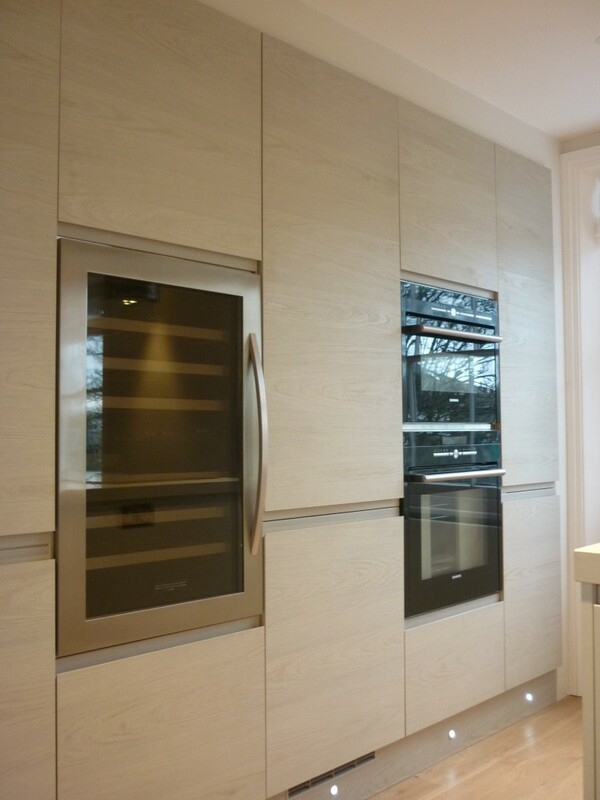 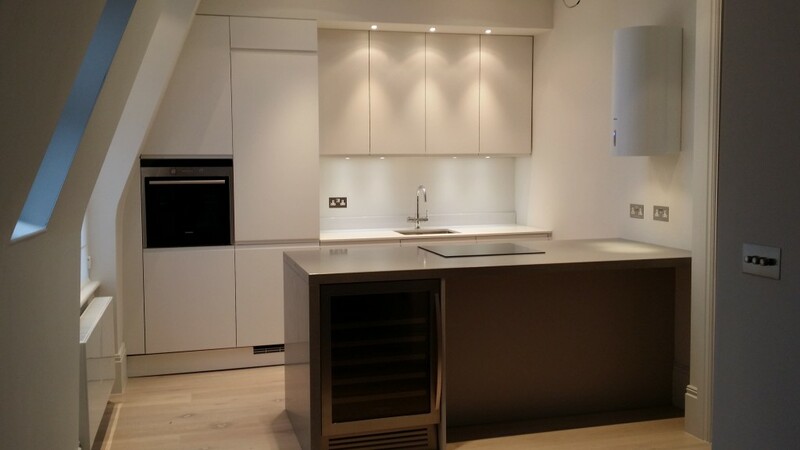 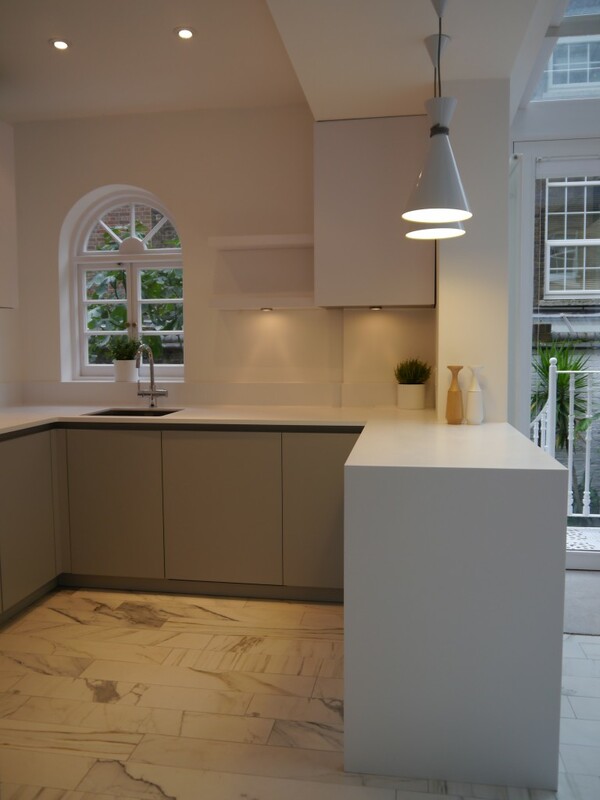 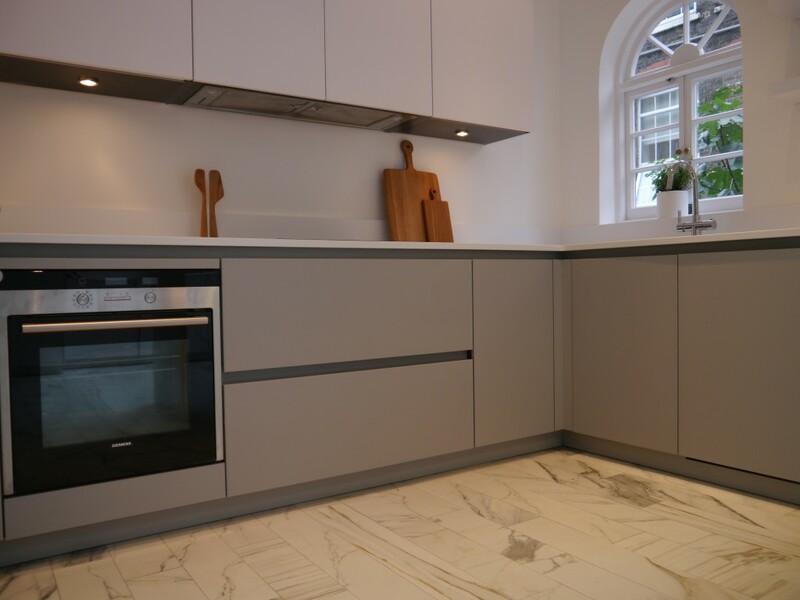 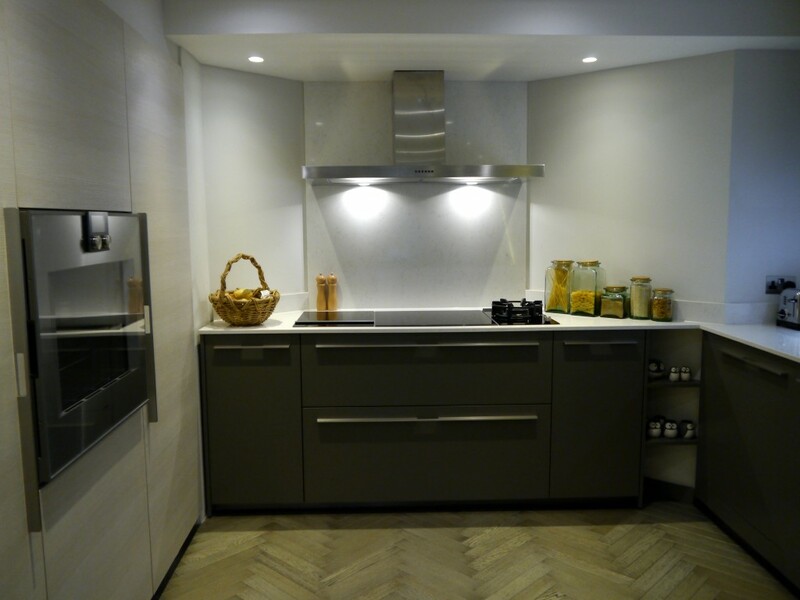 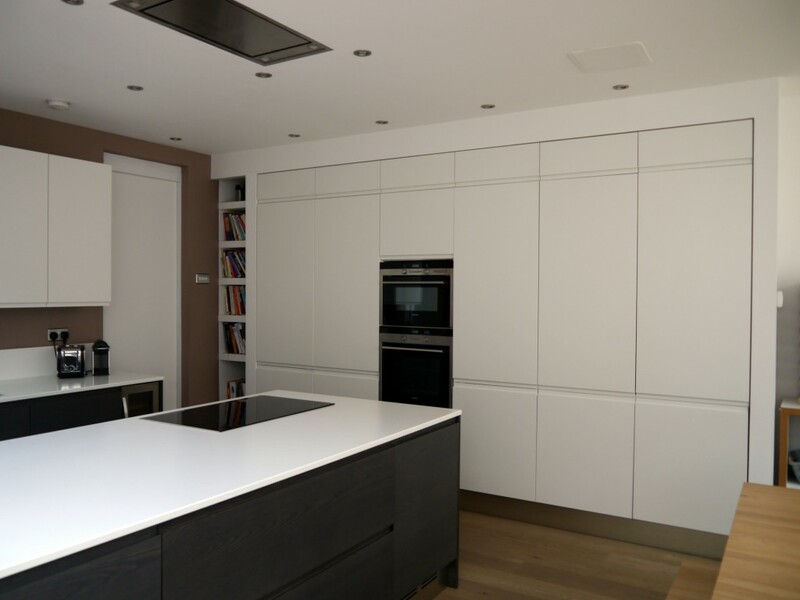 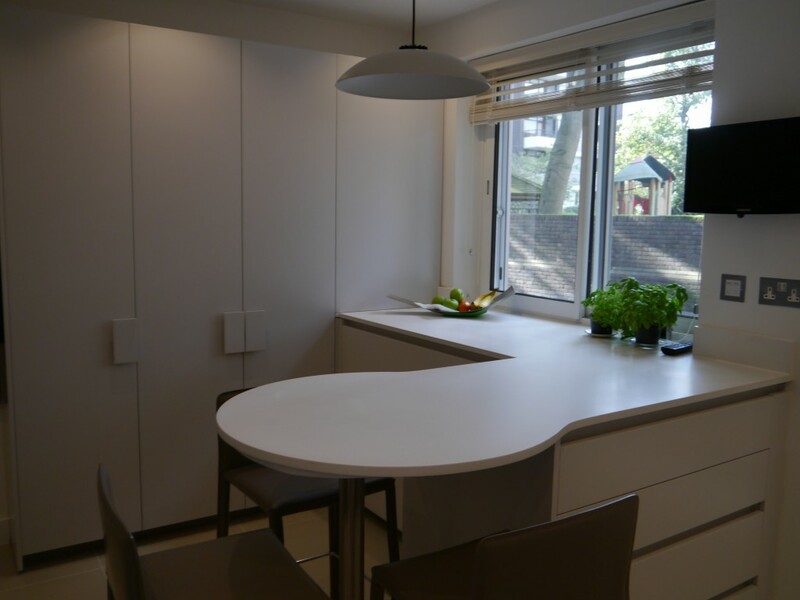 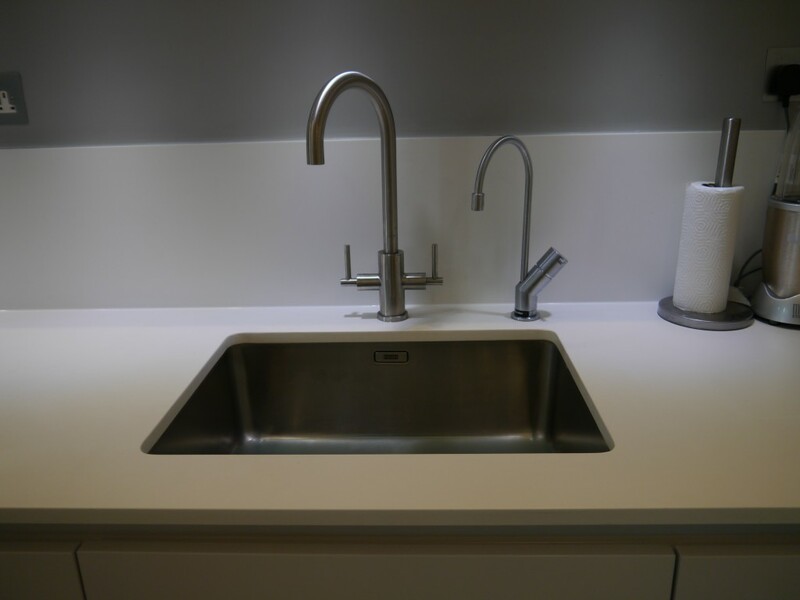 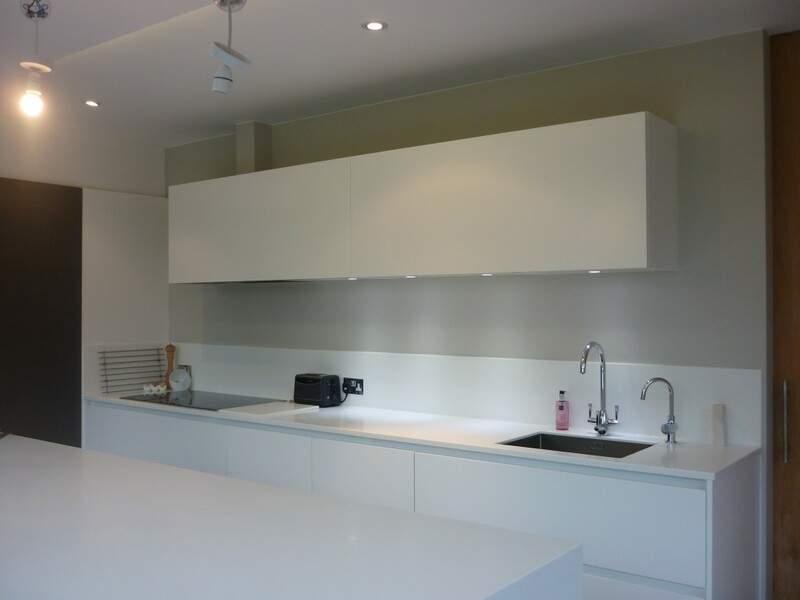 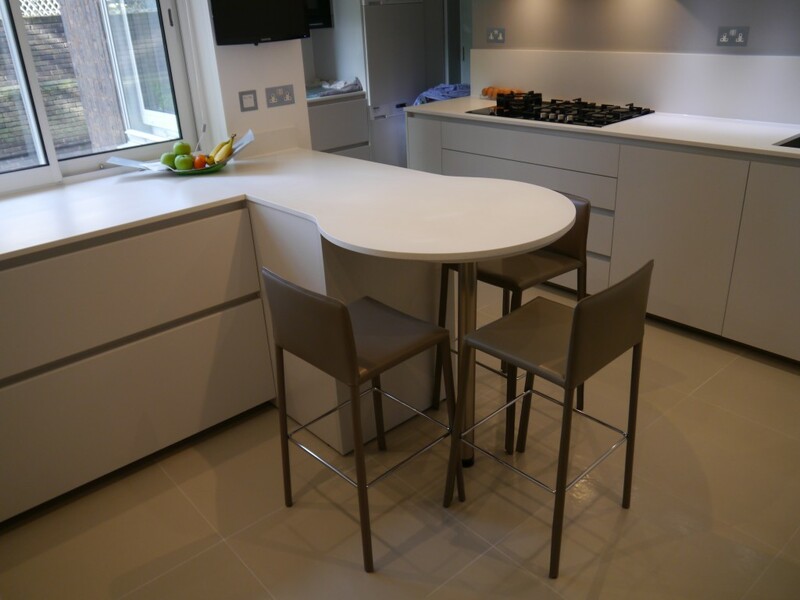 For this project we used Comprex (Italian) furniture, Siemens appliances and a Quartz worktop. 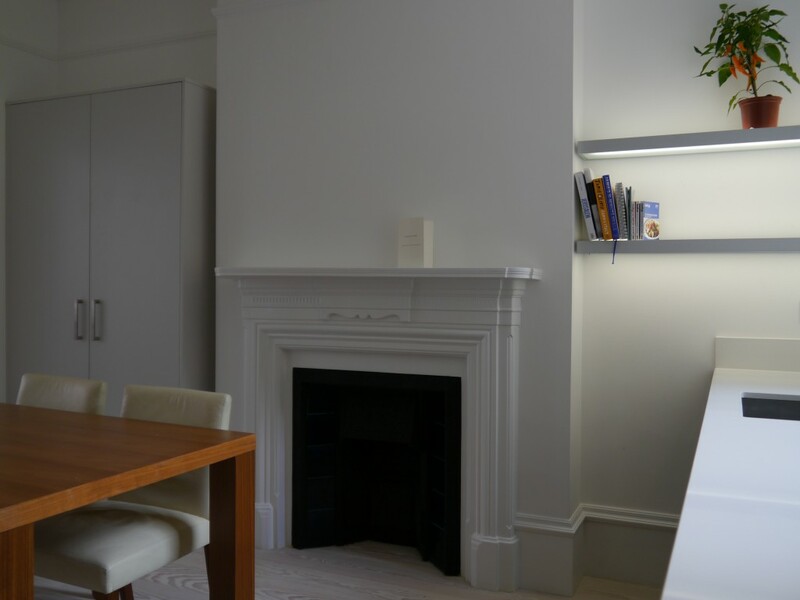 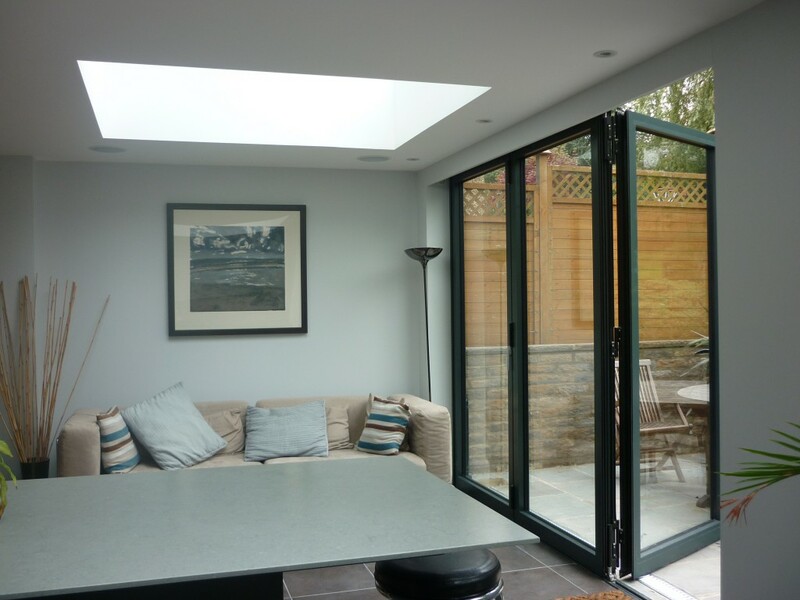 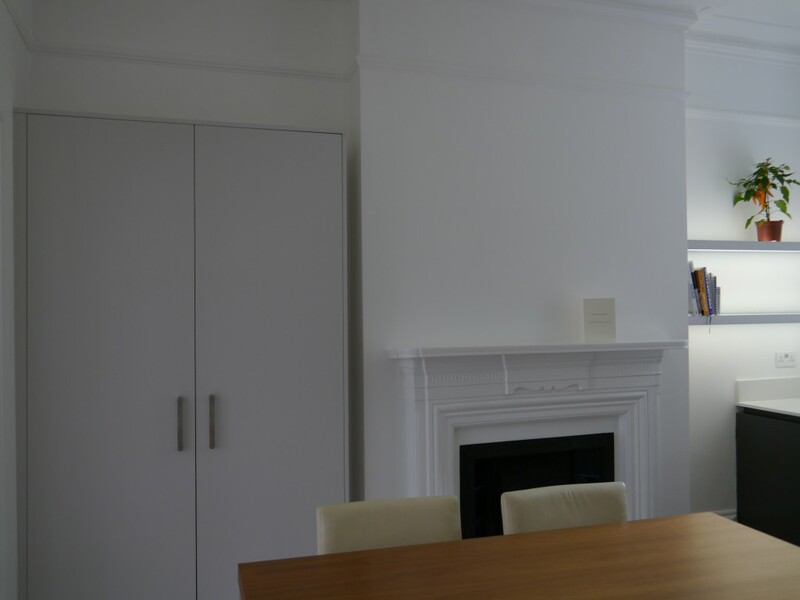 With the matt dark grey base and high-gloss light wall unit we have created a truly airy space. 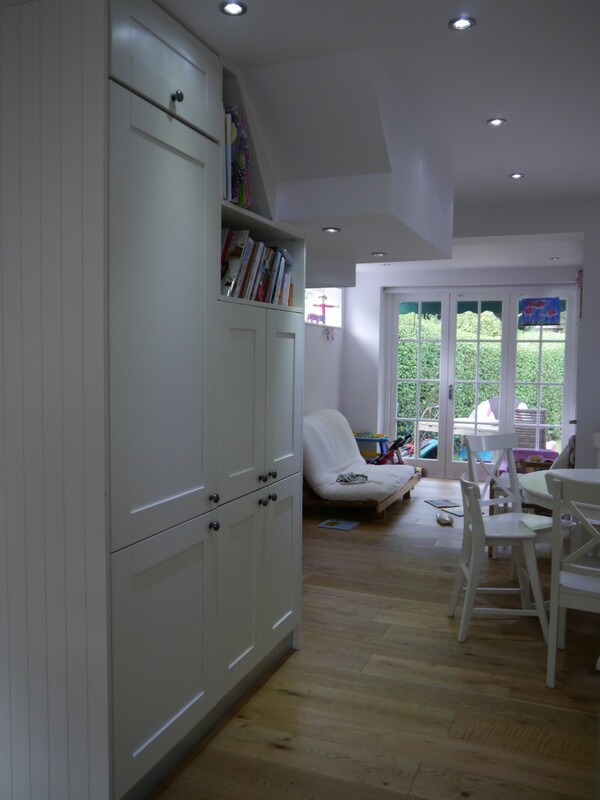 Floating installation of oversized wall units smoothing corridor feel. 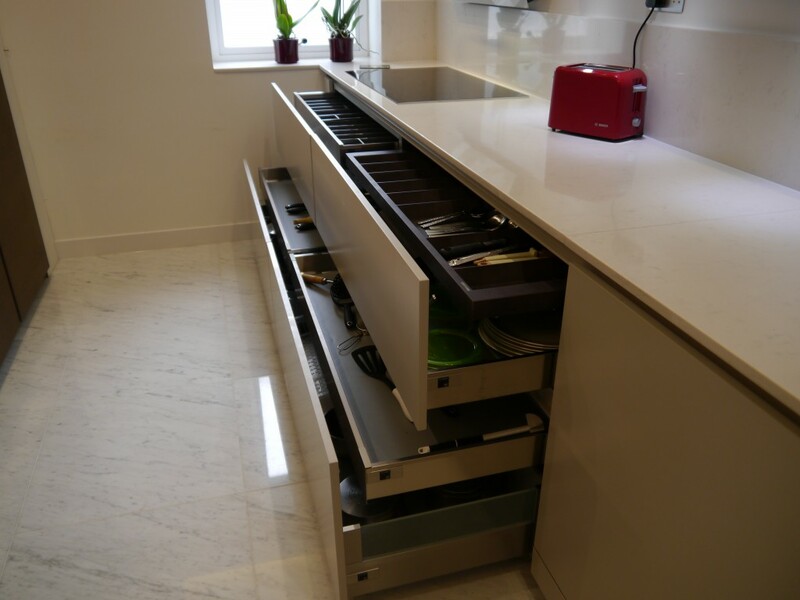 Breakfast island connects kitchen with living room space and cleverly hides the TV controls in supporting base.